For our family vacation in 2017, we drove out to Virginia on a week-long road trip. 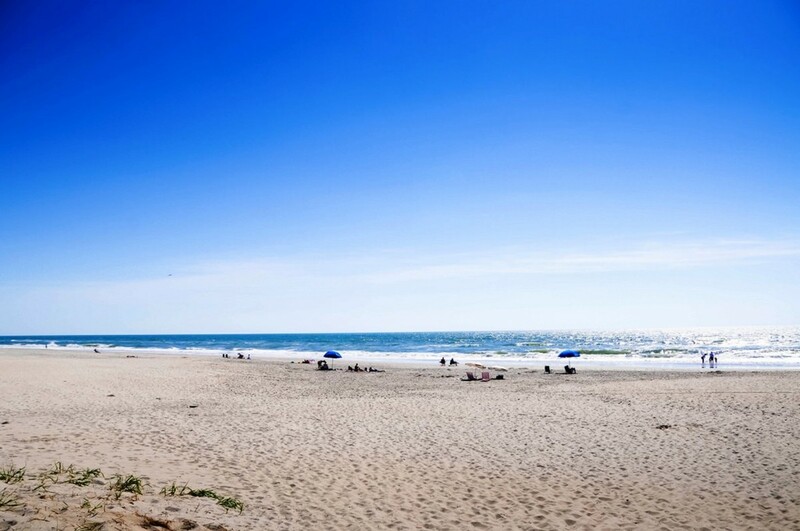 We spent the first three days in Virginia Beach, which is an incredible place to visit. 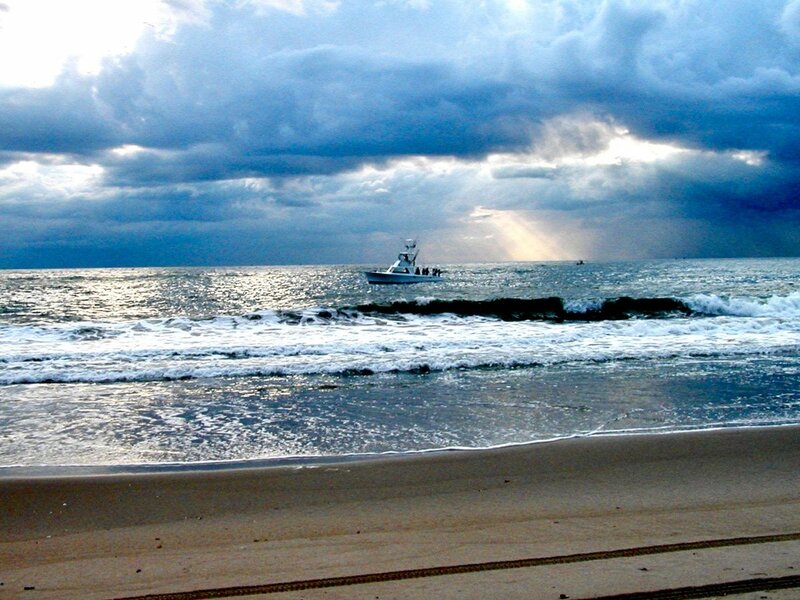 We also spent some of that time on the breathtaking Outer Banks of North Carolina. 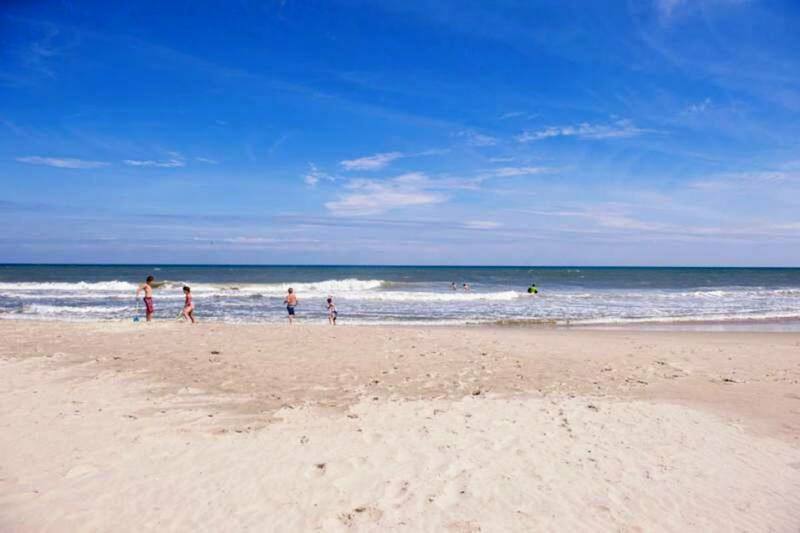 The Outer Banks is a group of barrier islands that stretches 200 miles along North Carolina's coast and offers pristine beaches, beautiful homes, cool shops, fine restaurants, and miles of shoreline. There is so much to see and do there. 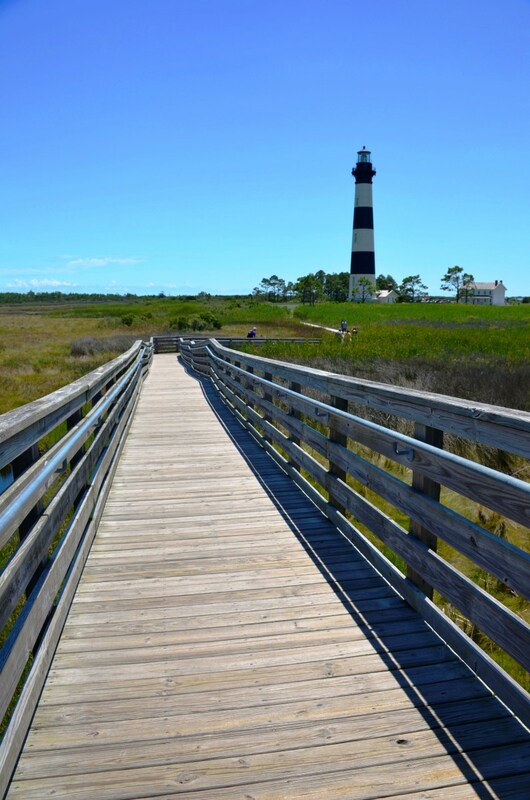 Here is a look at the top 10 things to do in the Outer Banks of North Carolina. 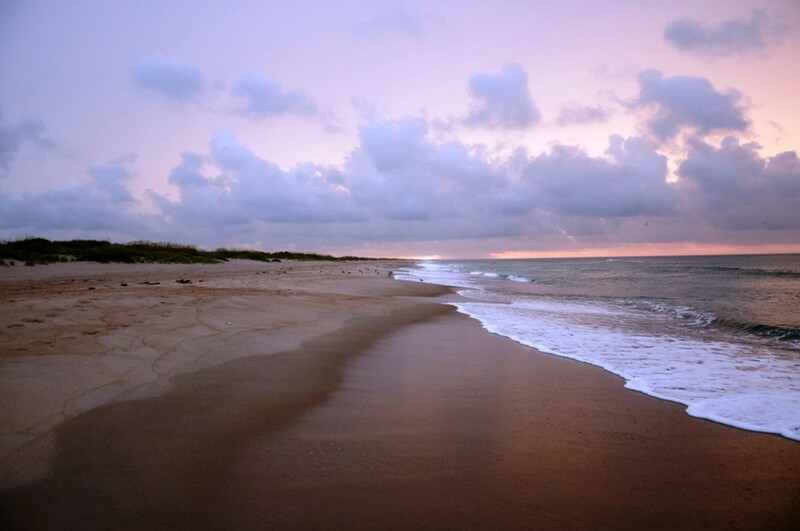 The Cape Hatteras National Seashore is a must-see when visiting the Outer Banks of North Carolina. 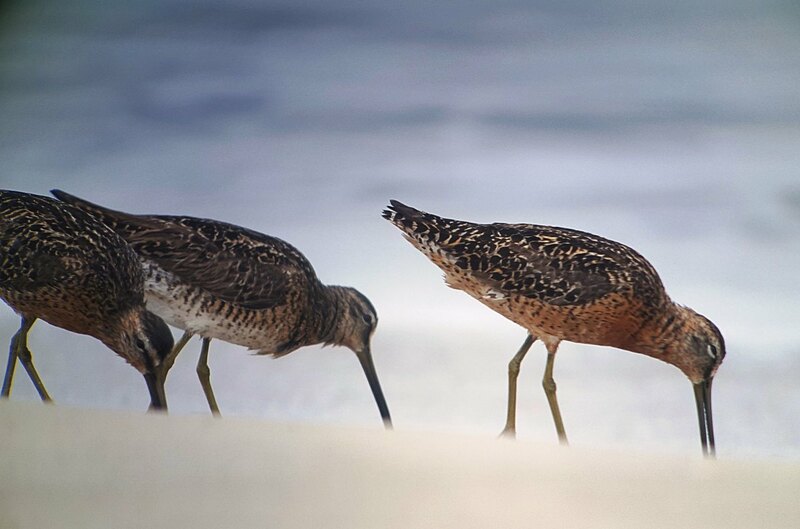 The U.S. government designated it as the first national seashore to protect its beauty. 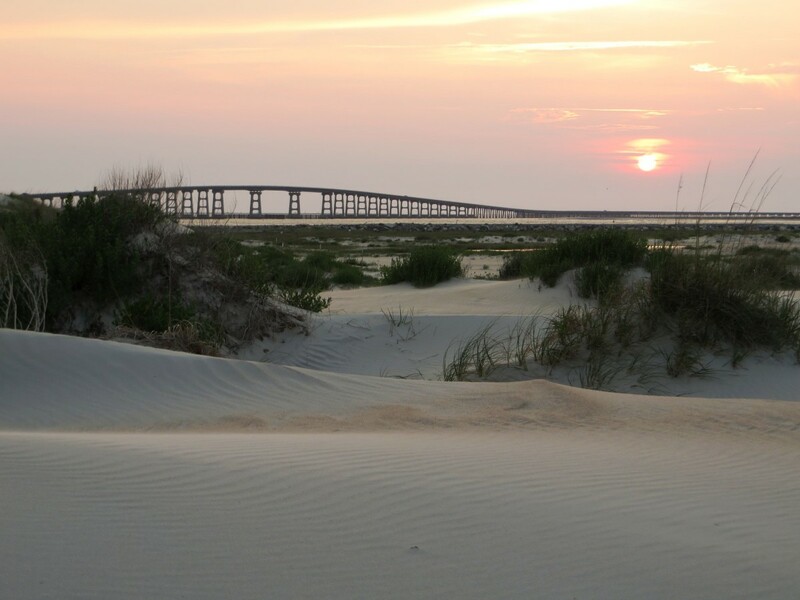 It is made up of seven villages on Hatteras Island and has 70 miles of shoreline that runs between Oregon Inlet to the Ocracoke Inlet. 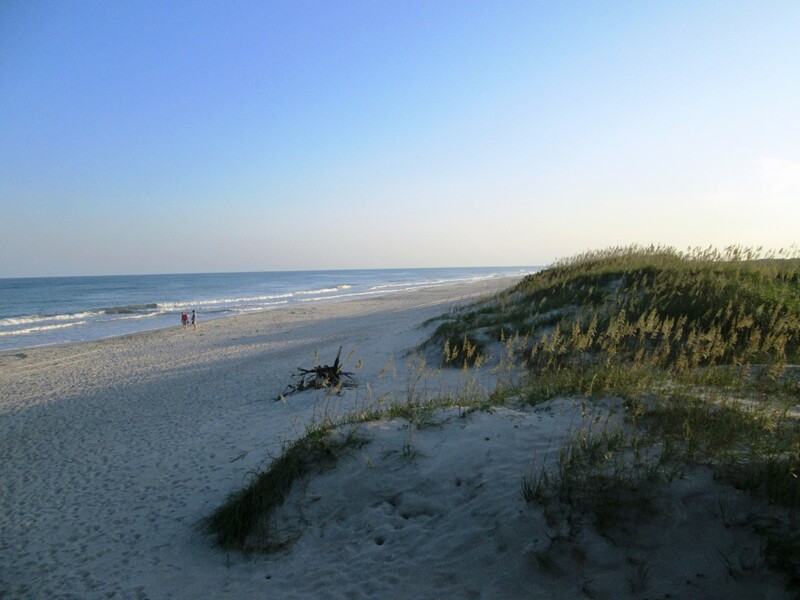 It is home to some of the best birding, fishing, shelling, surfing, and beaches. 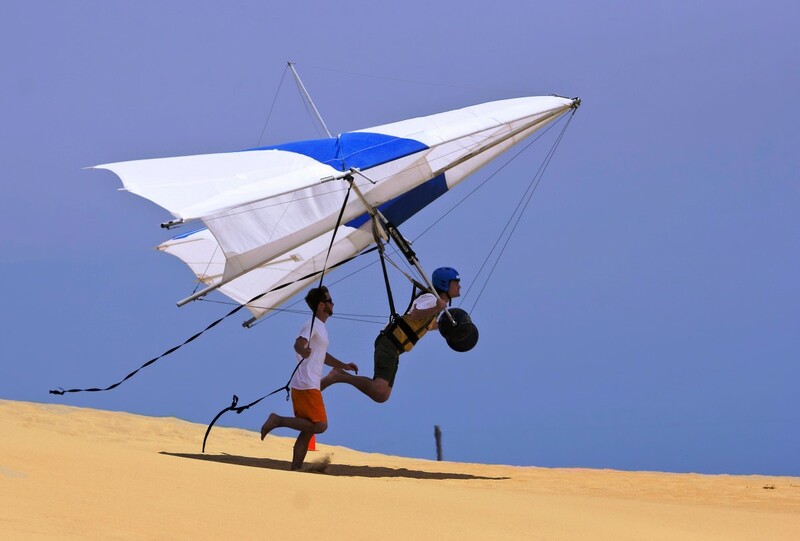 Other fun activities include swimming, crabbing, kayaking, kiteboarding, windsurfing, and snorkeling. It is also one of the best places east of the Mississippi River to stargaze because of how dark the sky is. 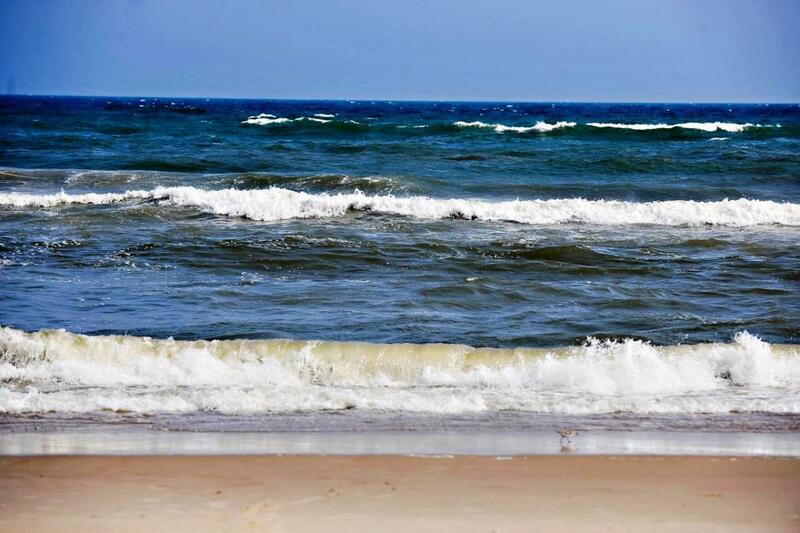 Beaches in the Cape Hatteras National Seashore are amazing. 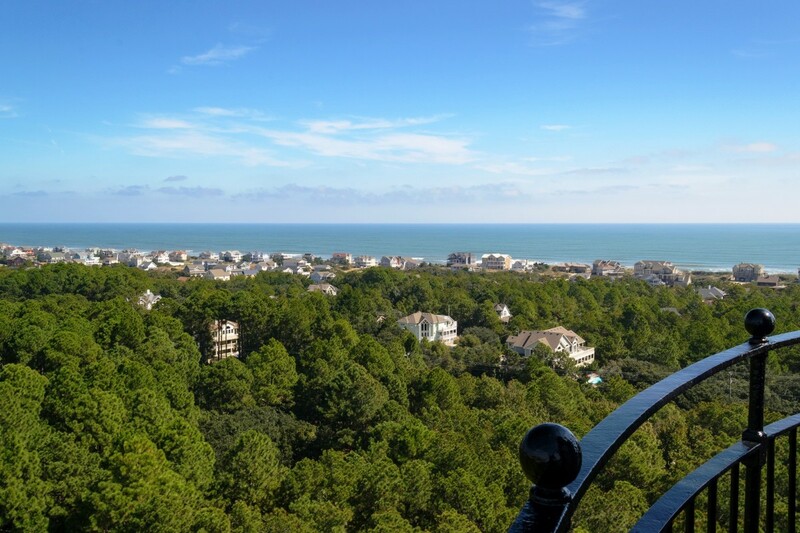 They offer unobstructed views of the Atlantic Ocean and Pamlico Sound. 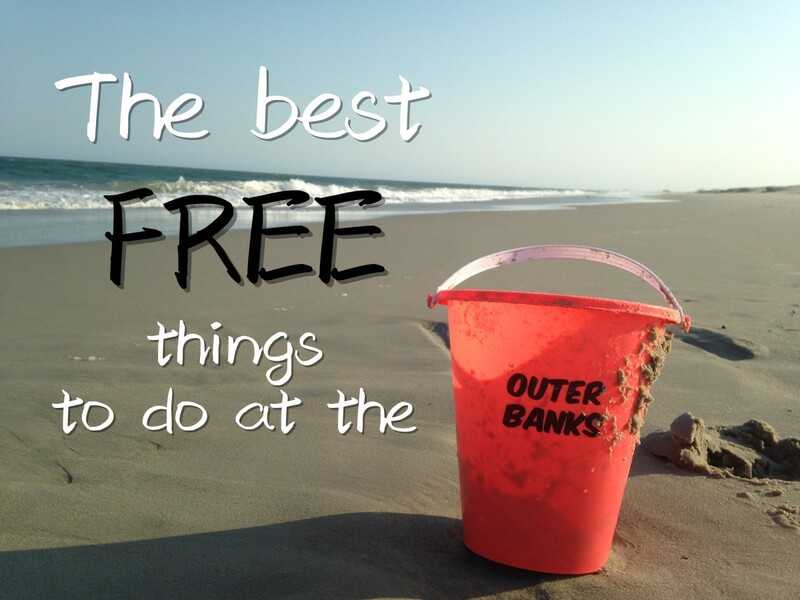 The best thing is that Cape Hatteras National Seashore beach access is always free. 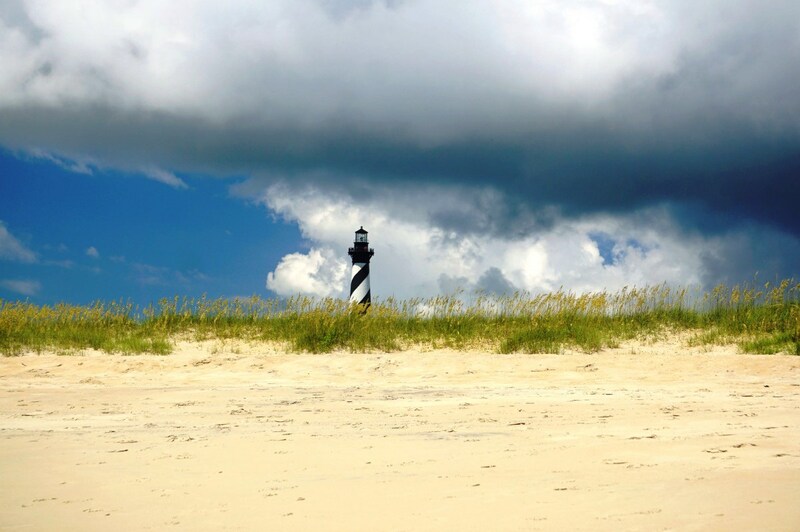 We spent a few hours at the beach near the Cape Hatteras Lighthouse. It was amazing. 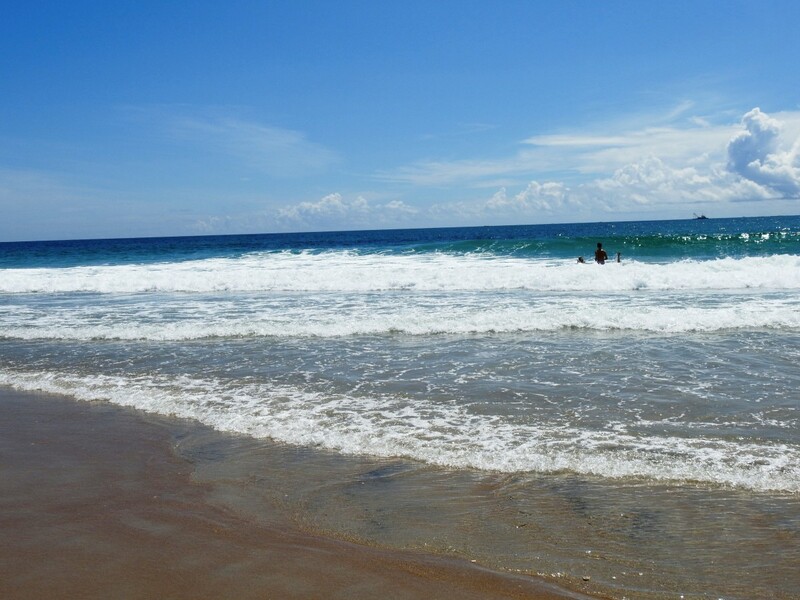 My kids enjoyed playing on the beach and swimming. It was a lot of fun. 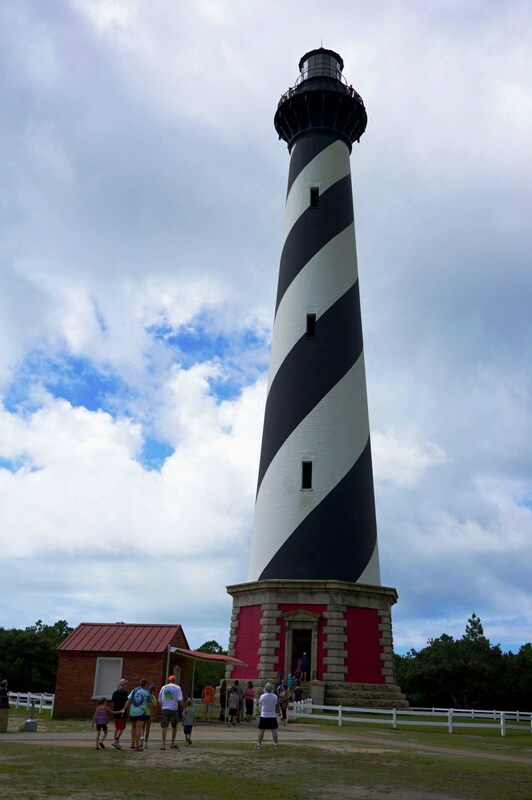 The Cape Hatteras Lighthouse is one of the most famous lighthouses in the world and known for its black and white stripes. It first went into service in 1803. 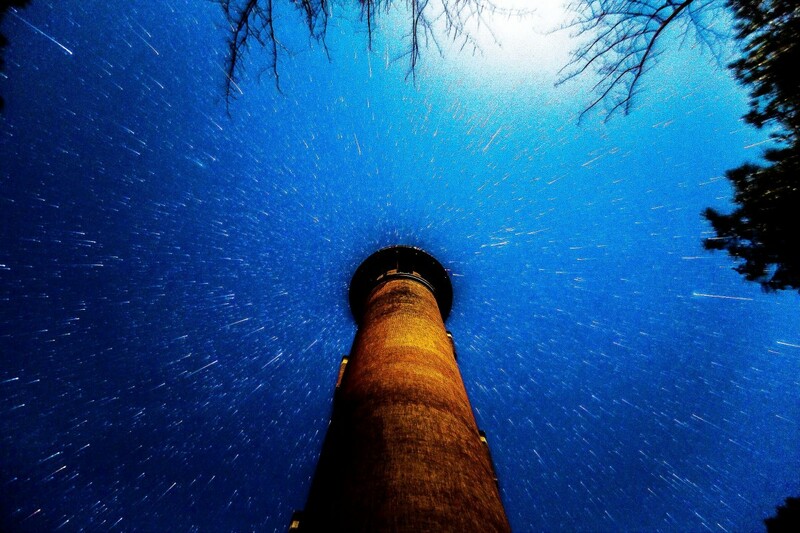 It is the tallest brick lighthouse in the United States at 208 feet tall. 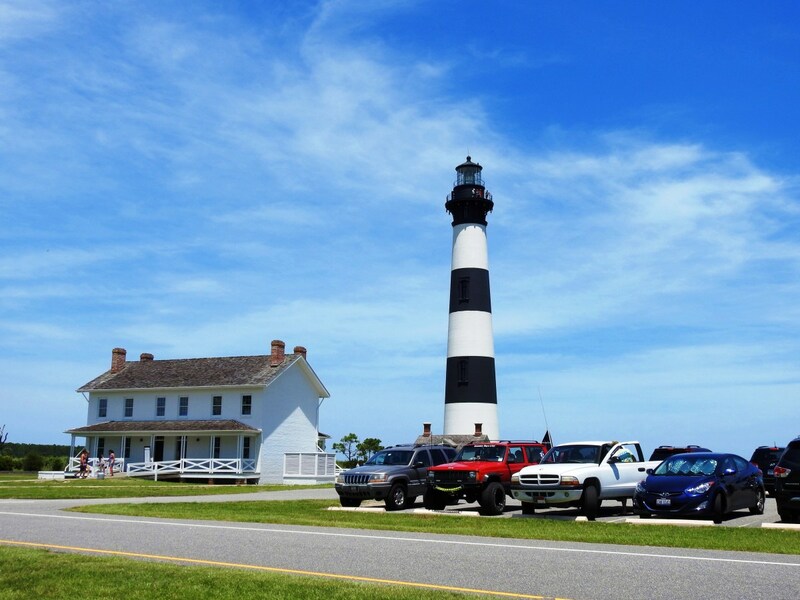 The Cape Hatteras Lighthouse was moved 2,900 feet to its current location in 1999 due to beach erosion. 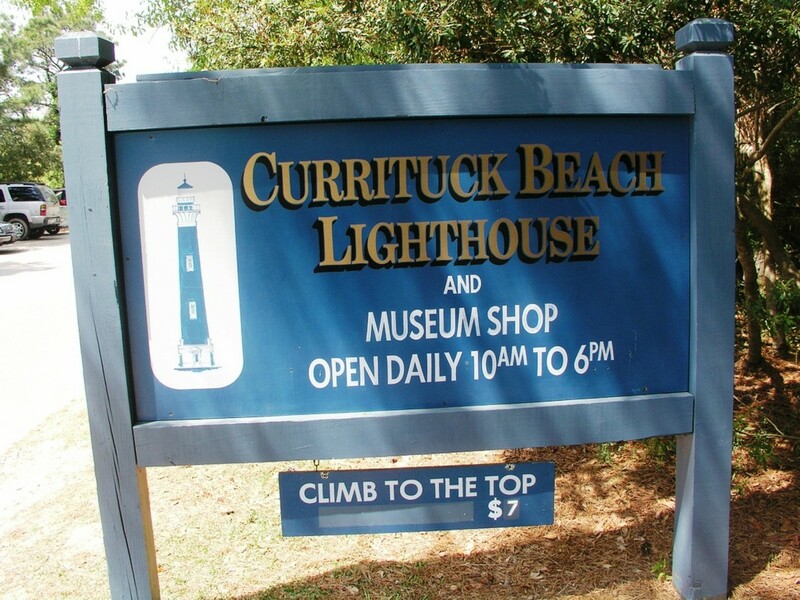 There are a souvenir shop and a lighthouse museum on site. 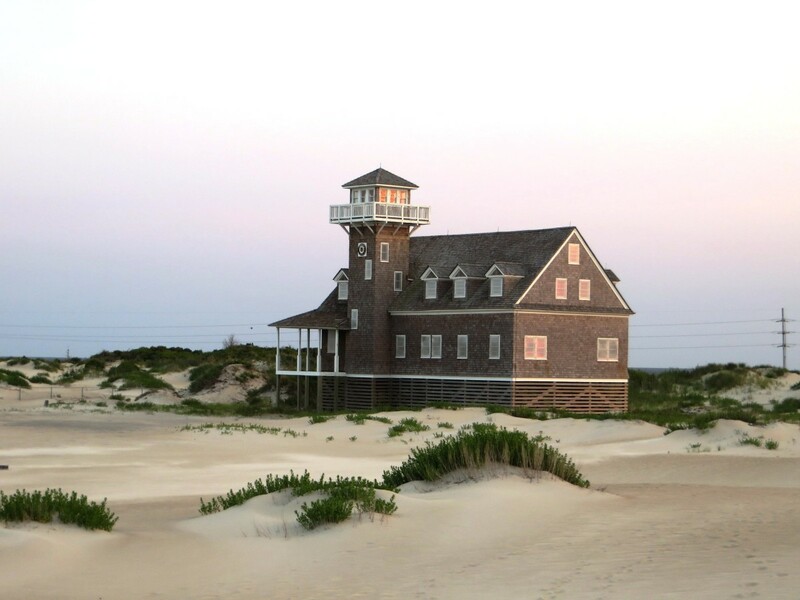 The Cape Hatteras Lighthouse is also available for use as a wedding venue for $100. 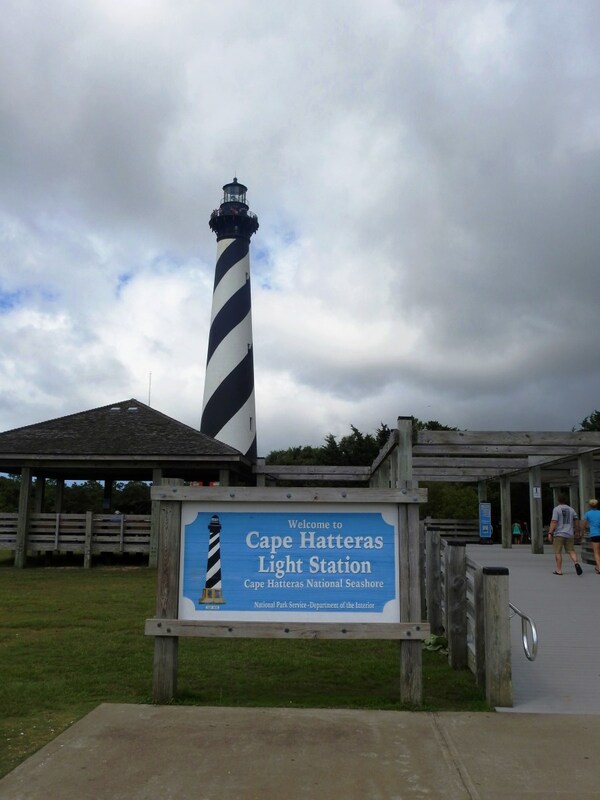 We spent about a half hour admiring the majesty of the Cape Hatteras Lighthouse. The view from it is incredible. 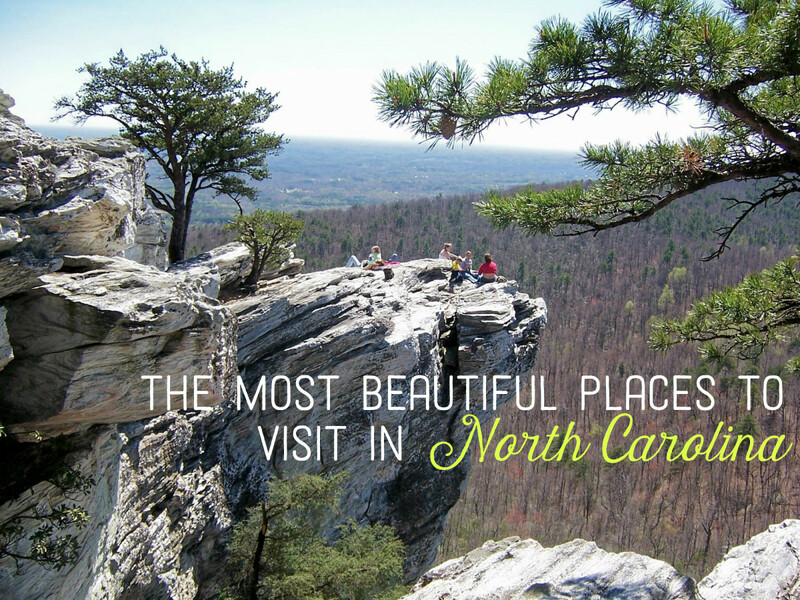 I highly recommend checking this beautiful area out. 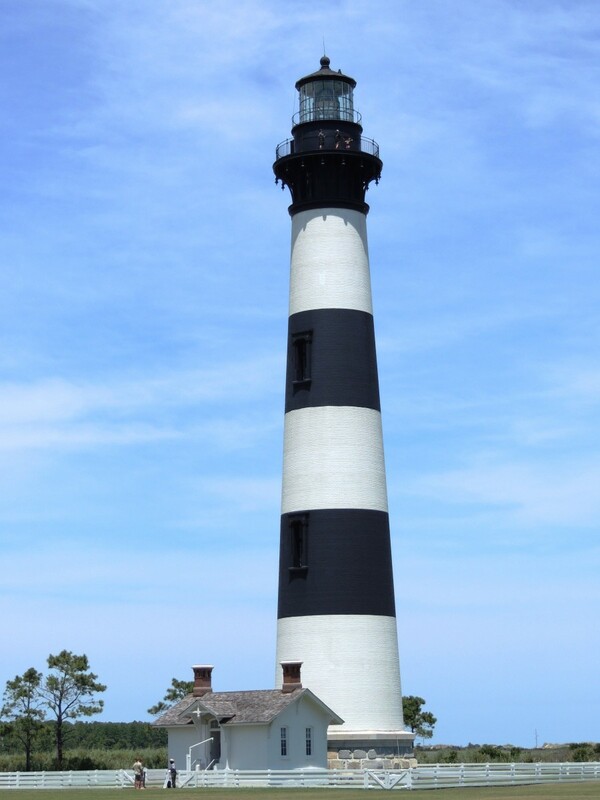 The Bodie Island Lighthouse is well worth a stop. 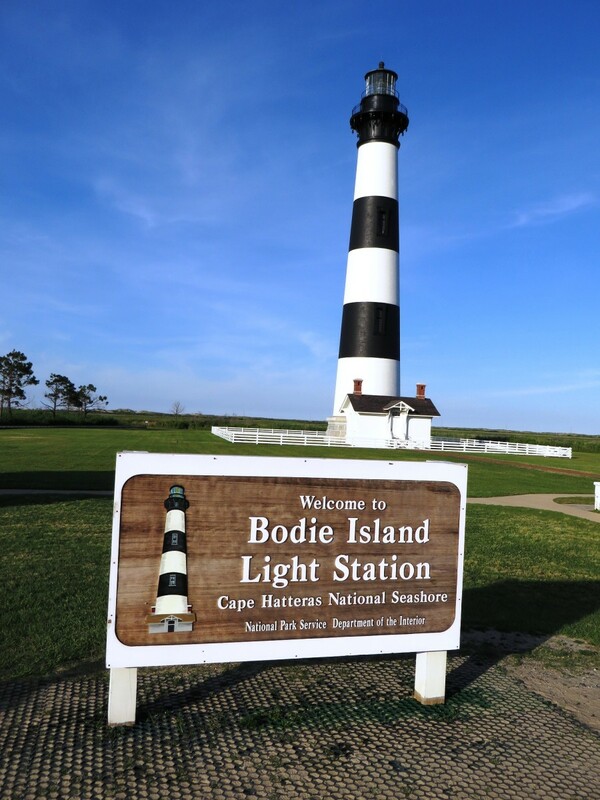 It is on Bodie Island in Nags Head, North Carolina. 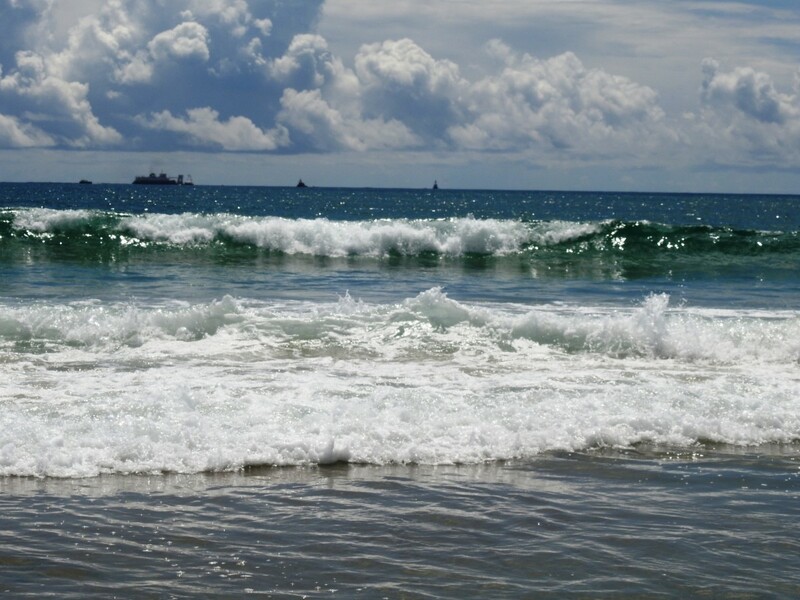 It is a towering 156 feet tall with its light beam seen as far as 19 miles offshore. 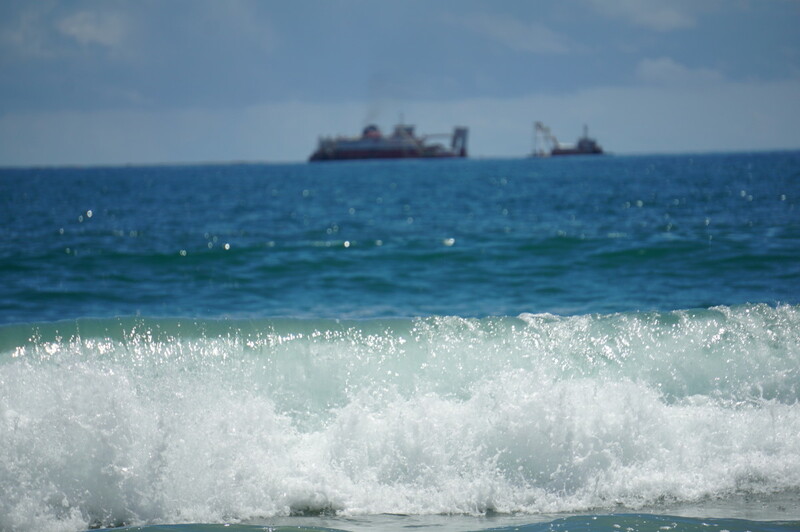 It was needed to help ship navigate the treacherous waters off of the coast, known as the "Graveyard of the Atlantic." 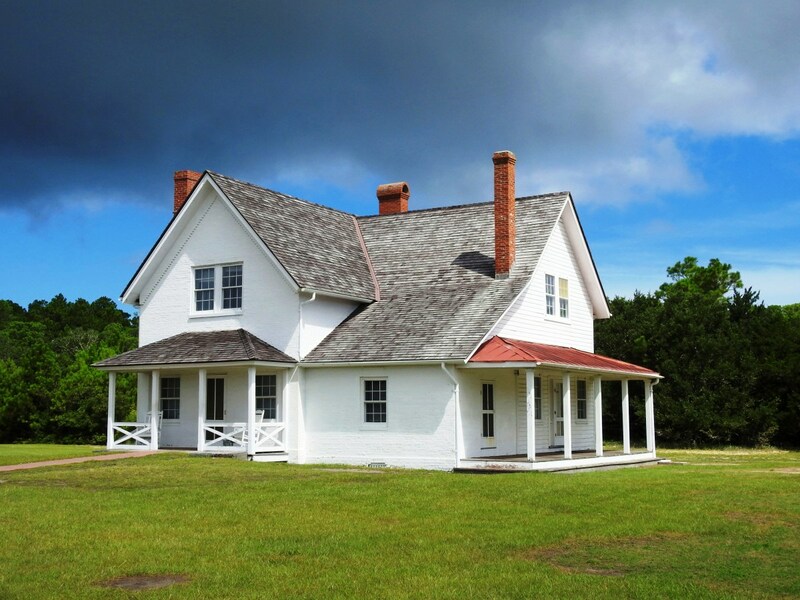 Visitors can stop by the Bodie Island Visitor Center to browse the book store or purchase tickets to climb the lighthouse. 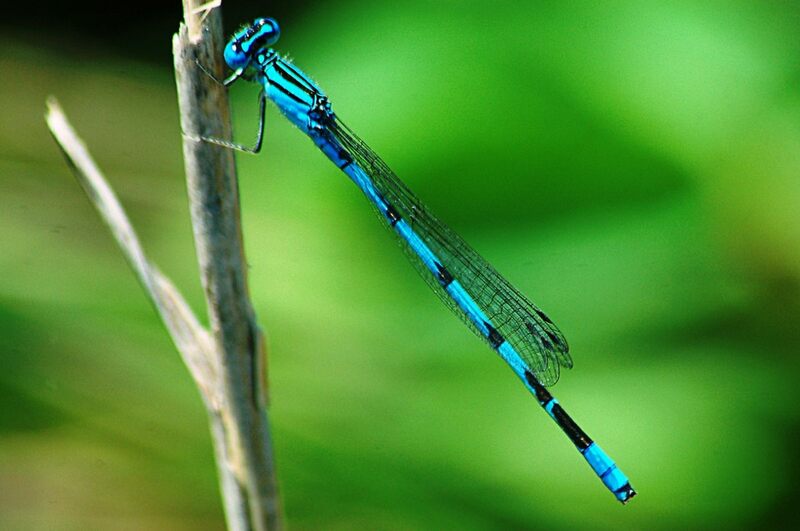 There is also a wildlife observation deck that visitors can hike to via a raised boardwalk. 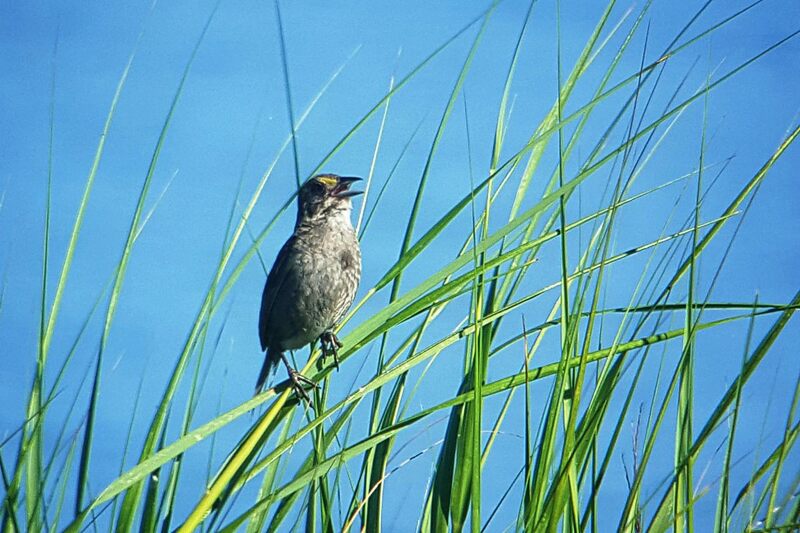 It is a great place to go birding. 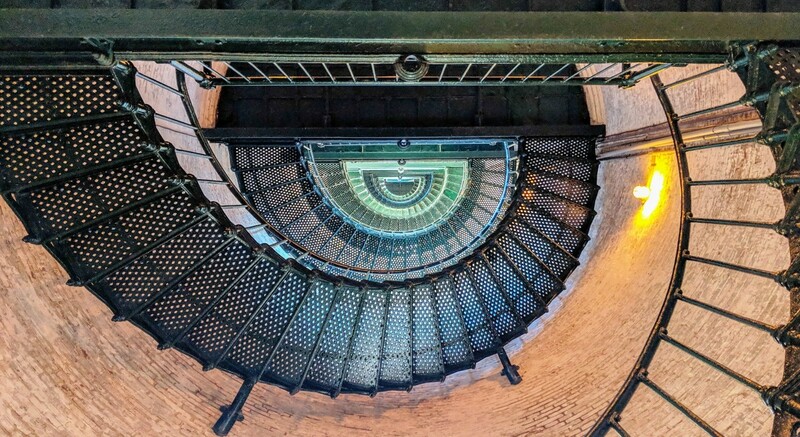 The Bodie Island Lighthouse is also a unique wedding venue. 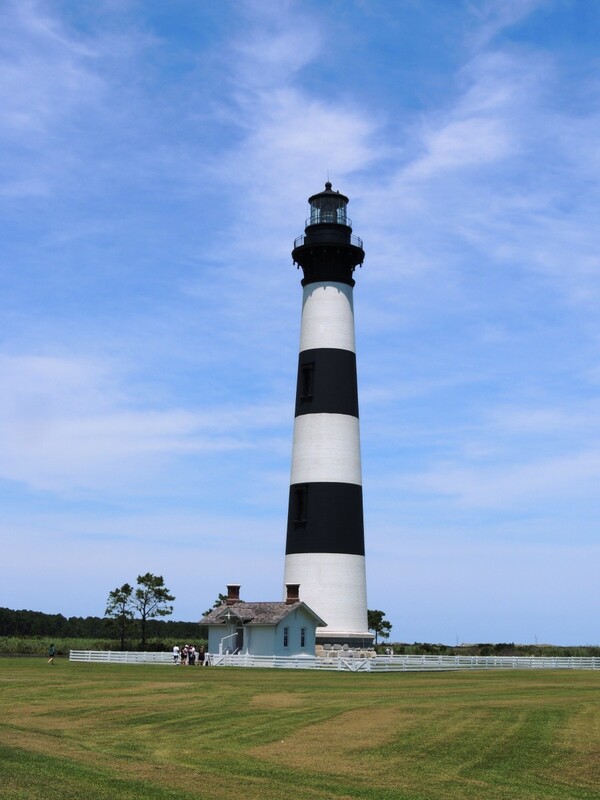 The Bodie Island Lighthouse is a result of if you do not succeed the first time, try try again. It took three attempts to build a lighthouse in this area. 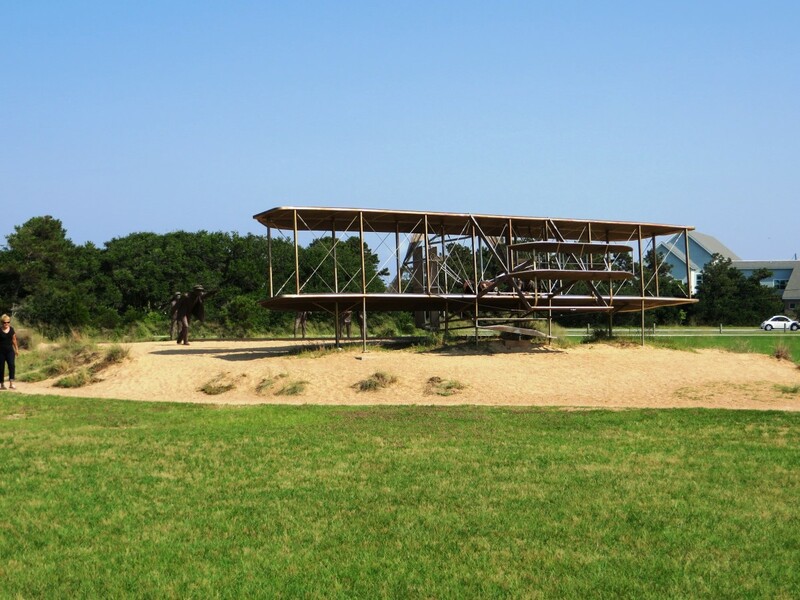 The first (1847) was poorly constructed and began to lean after only a few years. 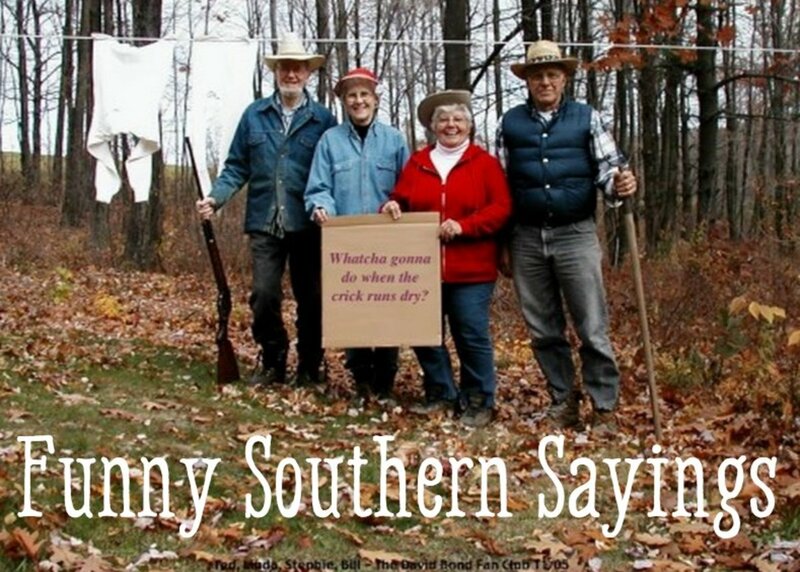 The second (1858) only lasted two years because the Confederate Army destroyed it during the U.S. Civil War. The current lighthouse dates back to 1871. 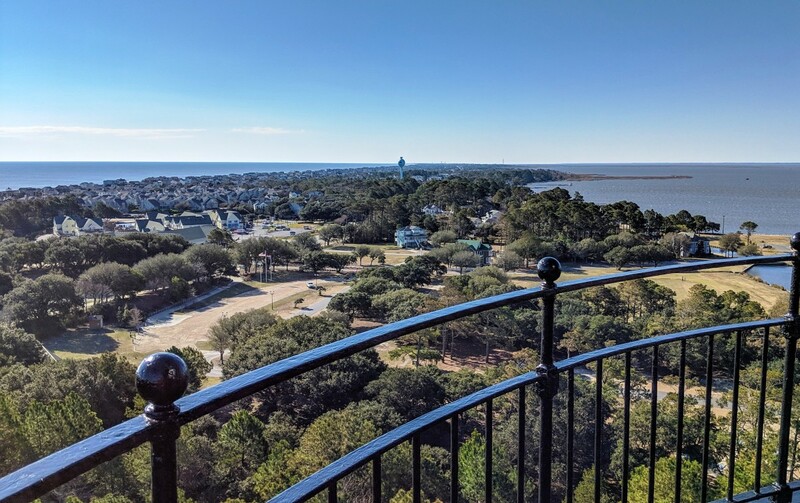 We spent about 45 minutes admiring the grandeur of the lighthouse and wildlife area. 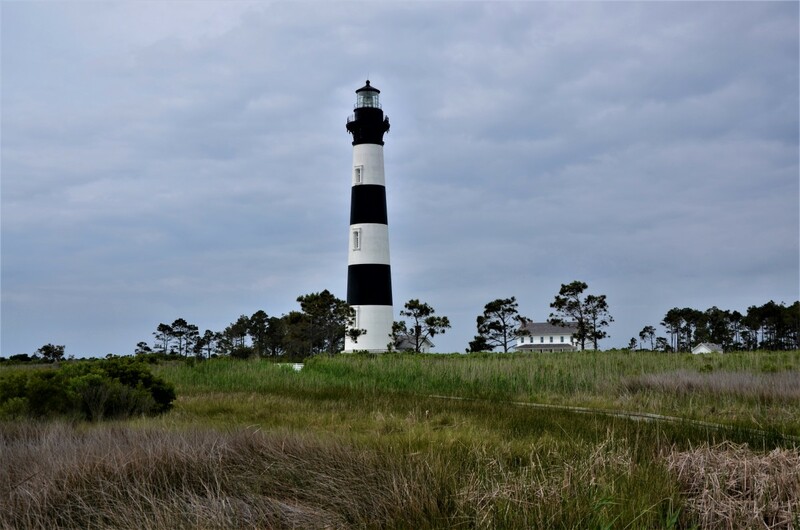 Bodie Island Lighthouse pictures are some of my favorites from our trip. 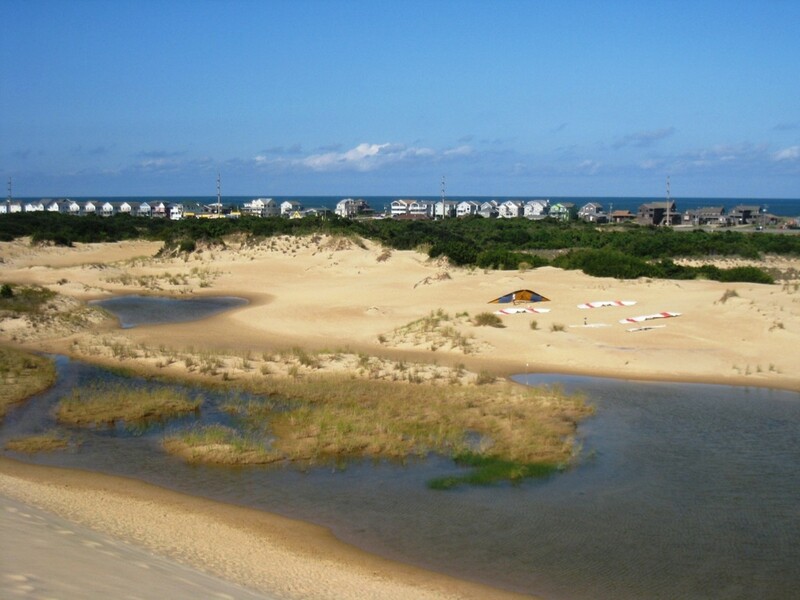 It is a beautiful area and a must see when visiting the Outer Banks of North Carolina. 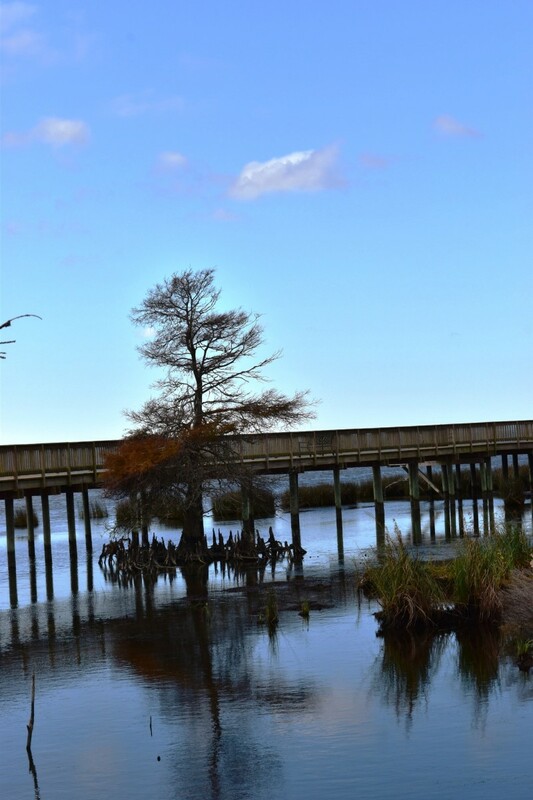 The Duck Town Park Boardwalk is a great way to enjoy the beauty of the Currituck Sound in Duck, North Carolina. The Duck Boardwalk is about three-quarters of a mile long and runs from Soundview to the North Boat Slips. 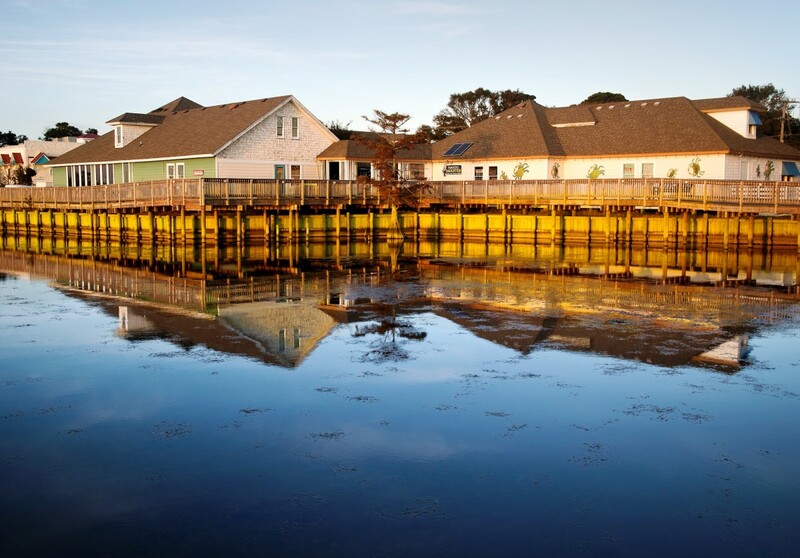 It offers access to the Currituck Sound, a maritime forest, open green space in the park area, and access to waterfront shops. 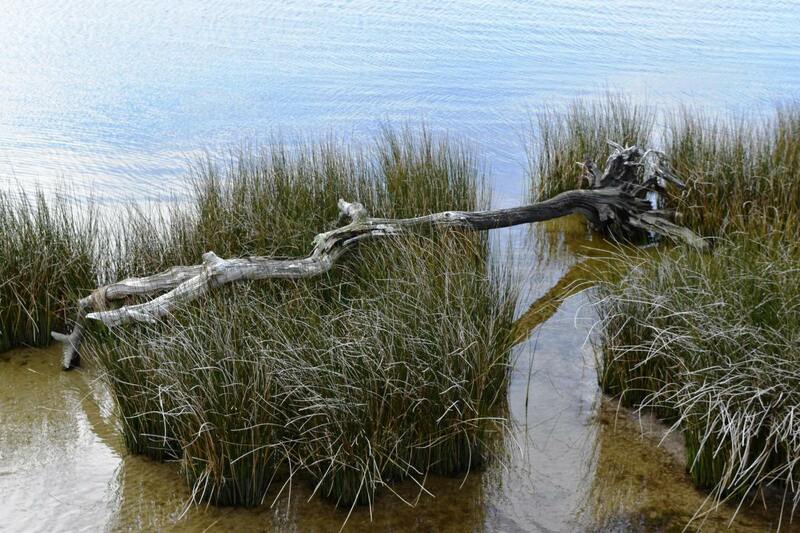 The Boardwalk has a handful of different access points throughout Duck. 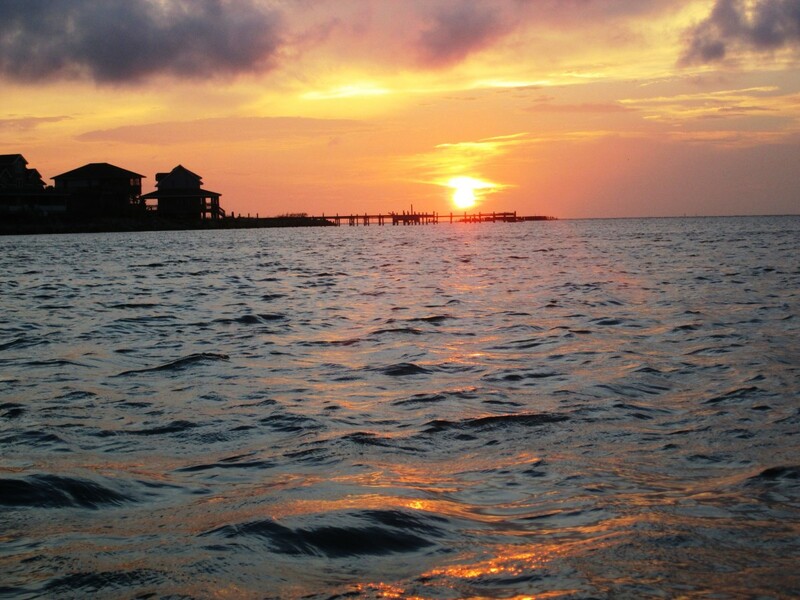 It is also a great place to watch sunsets. We stopped in Duck before heading back to Virginia Beach for a late afternoon meal. 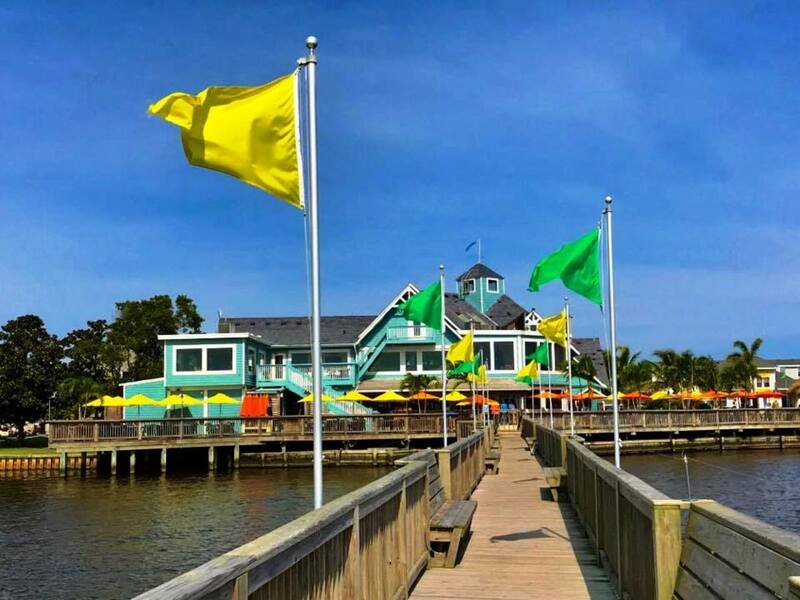 We ate at a restaurant on the Currituck Sound near the start of the boardwalk. We had time to take a quick stroll after eating. The views were amazing. 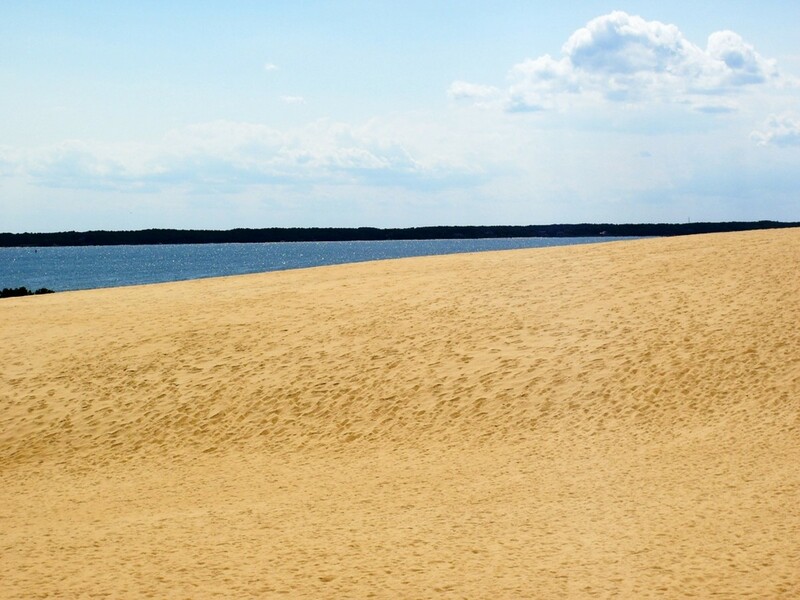 Jockey's Ridge State Park is a must see when visiting the Outer Banks of North Carolina. 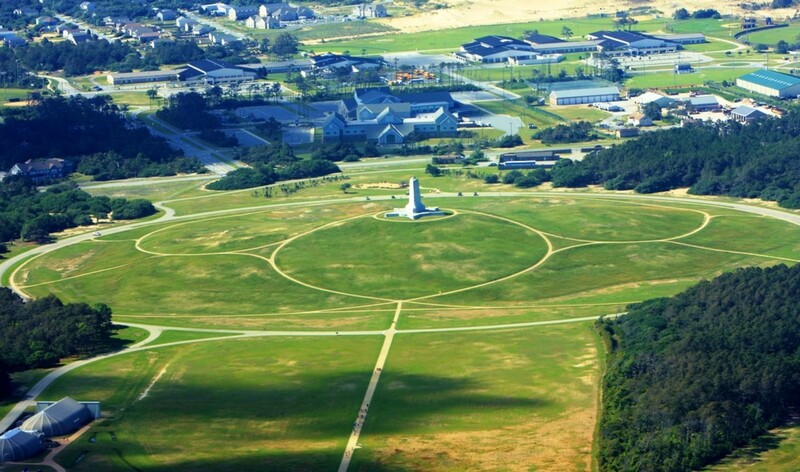 It is just north of Nags Head and on the Roanoke Sound side of the Outer Banks. 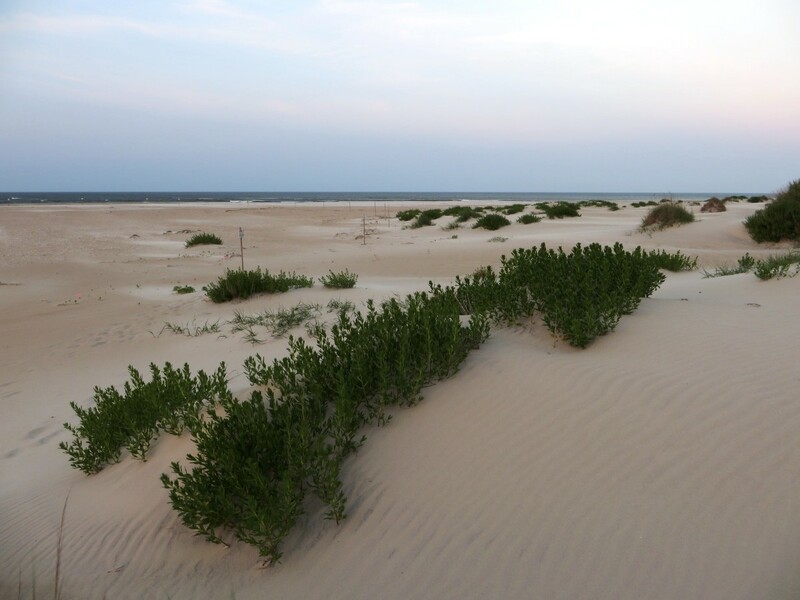 It is over 425 acres and made up of three distinct ecosystems: the dune system, maritime forest, and the Roanoke Sound. 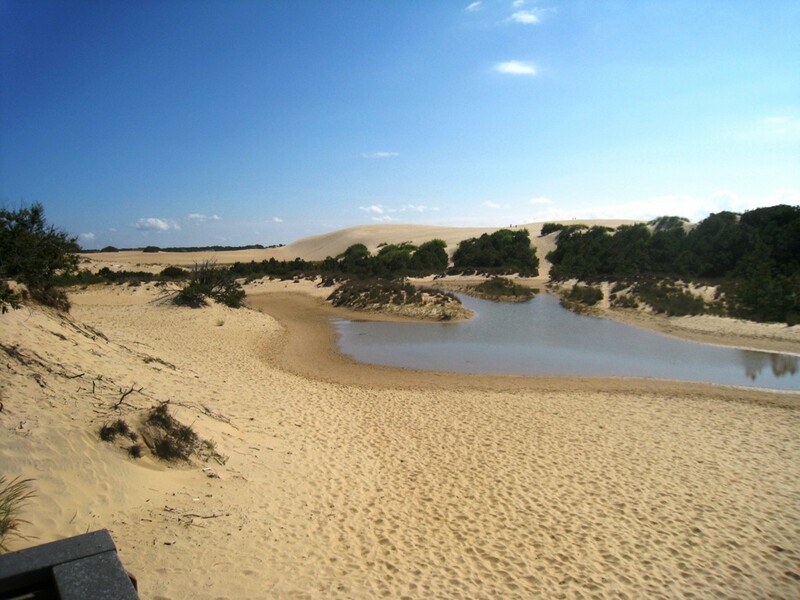 Its dunes act like huge sponges as only the top six inches stay dry. 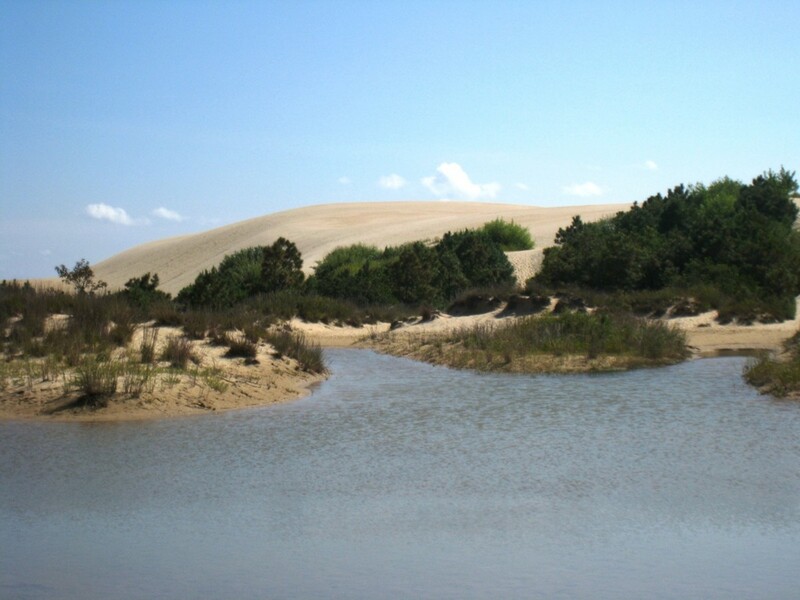 The wetness helps the dunes to keep their shape. 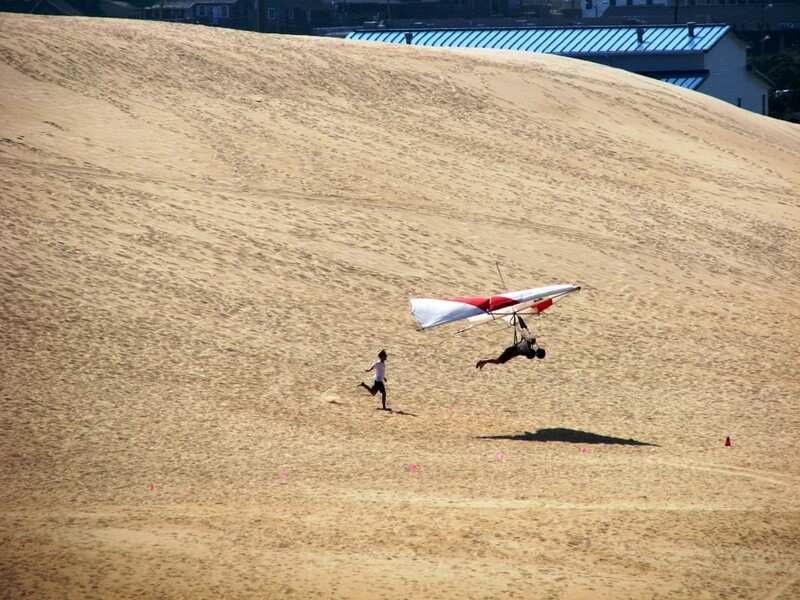 Jockey's Ridge State Park is an incredible place for flying kites, sand boarding, and watching the sunset, but the main attraction is the highest dune on the Atlantic coast. 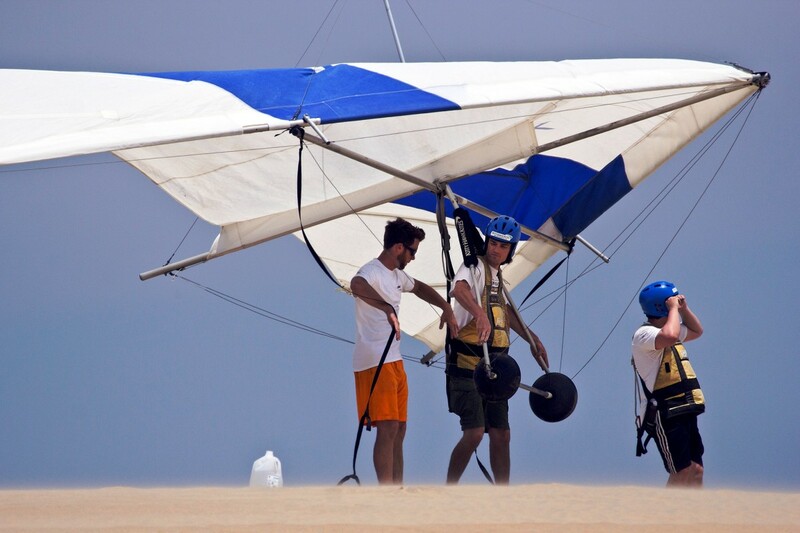 It is also a hot spot for hang gliding. 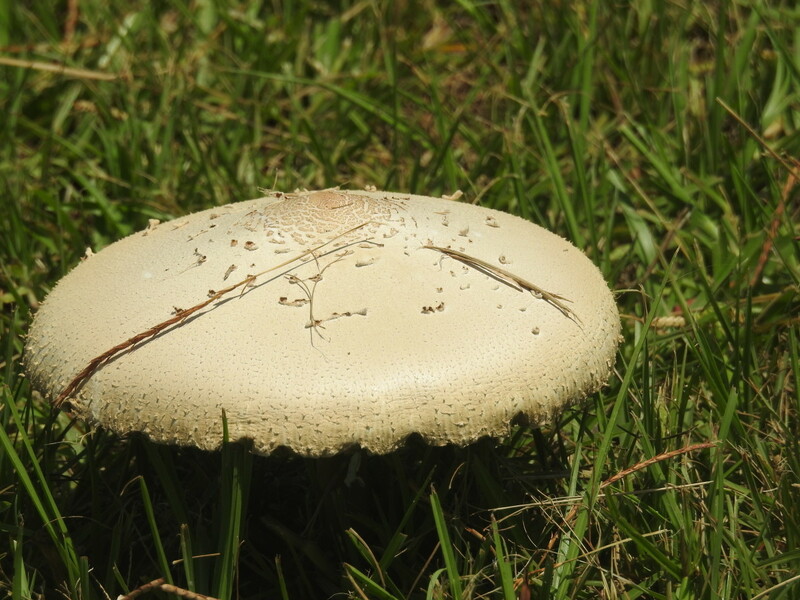 A park vendor offers lessons. 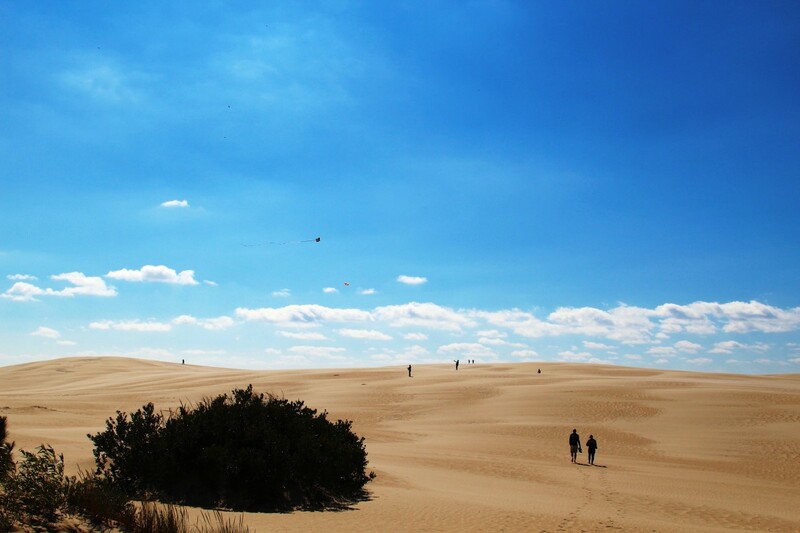 I highly recommend Jockey's Ridge State Park, North Carolina. 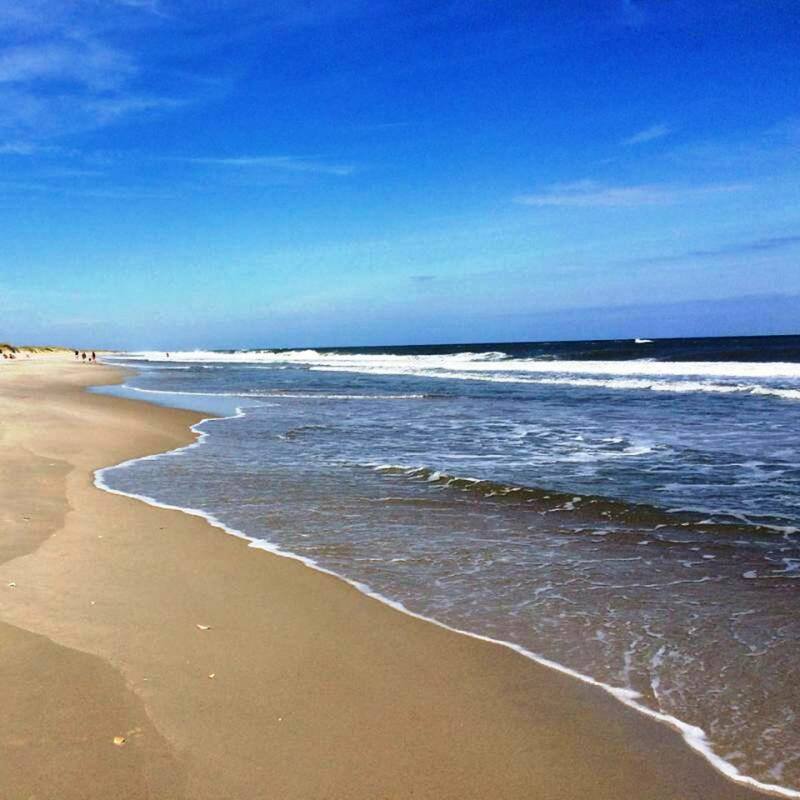 Ocracoke Island Beach, North Carolina is one of the top beaches in the United States. 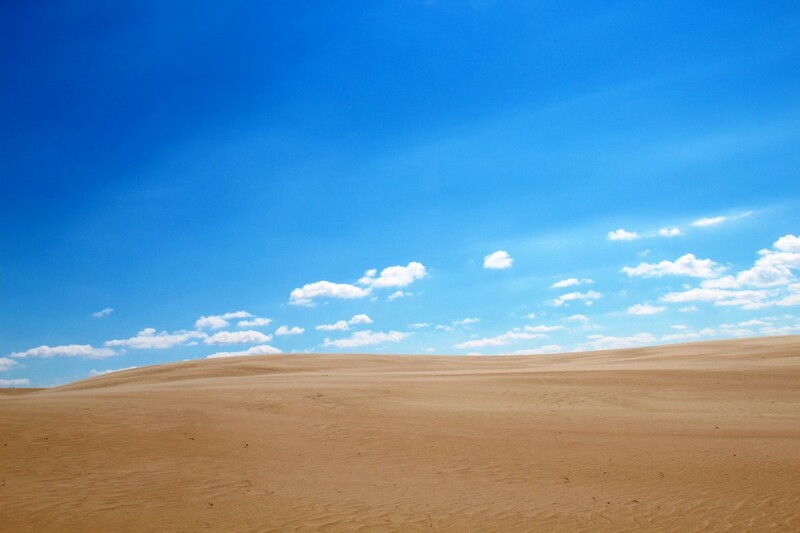 It is famous for being pristine with nothing on the beach for miles. 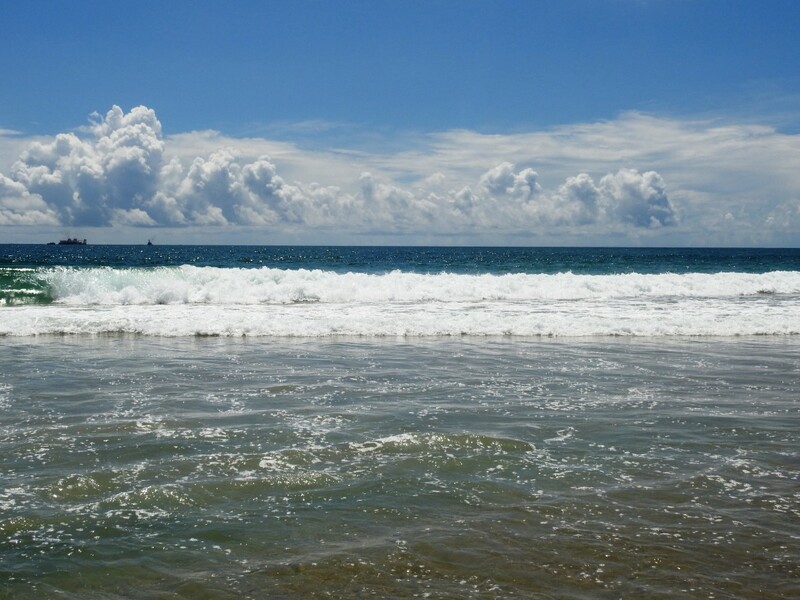 It is incredible for flying kites, surf fishing, kiteboarding, surfing, boogie-boarding, searching for shells, swimming, and just laying out in the sun. 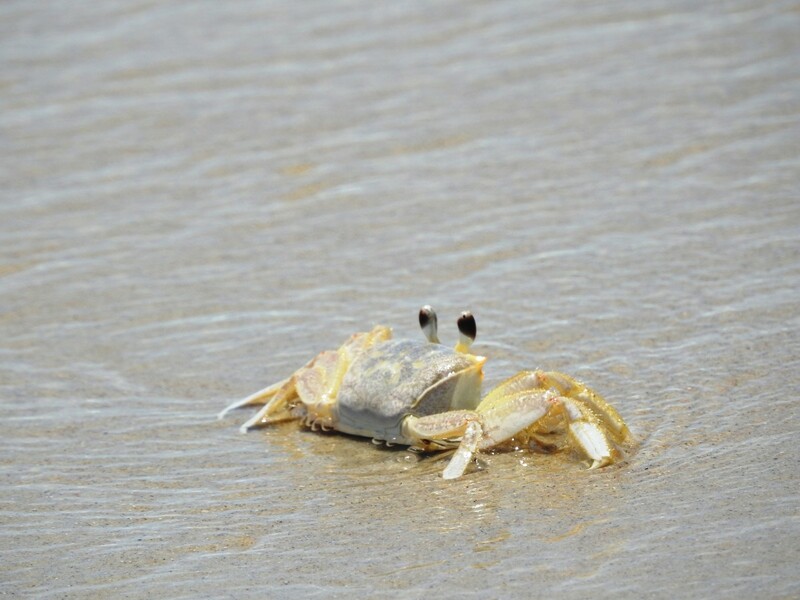 Ocracoke Island Beach is a great place to check out the wildlife. 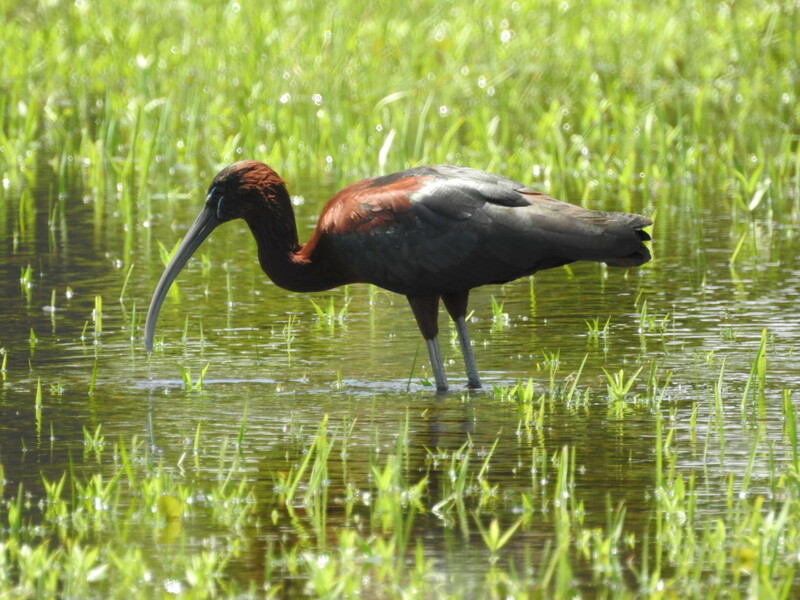 It is home to over 400 species of birds because of the abundant wetlands, marshes, and marine estuaries. 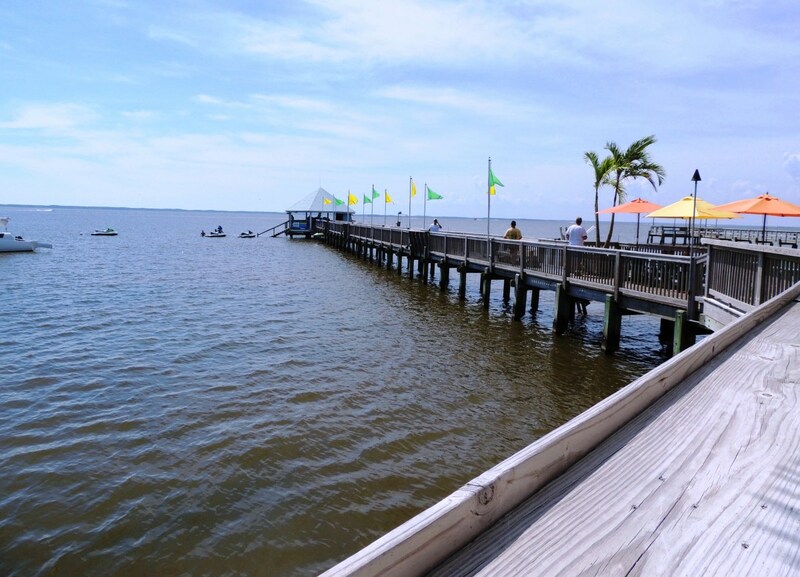 It is also home to fish, turtles, shellfish, and more. 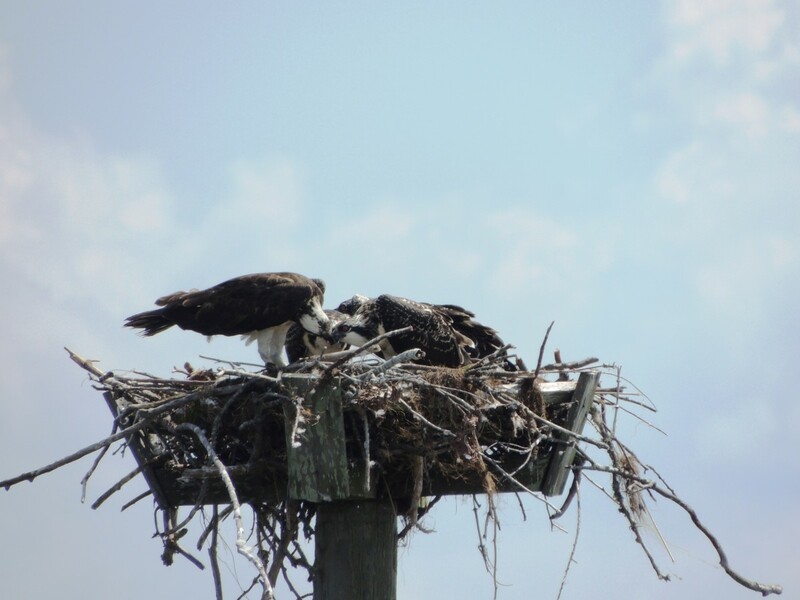 There are seasonal closures for bird and turtle nesting. 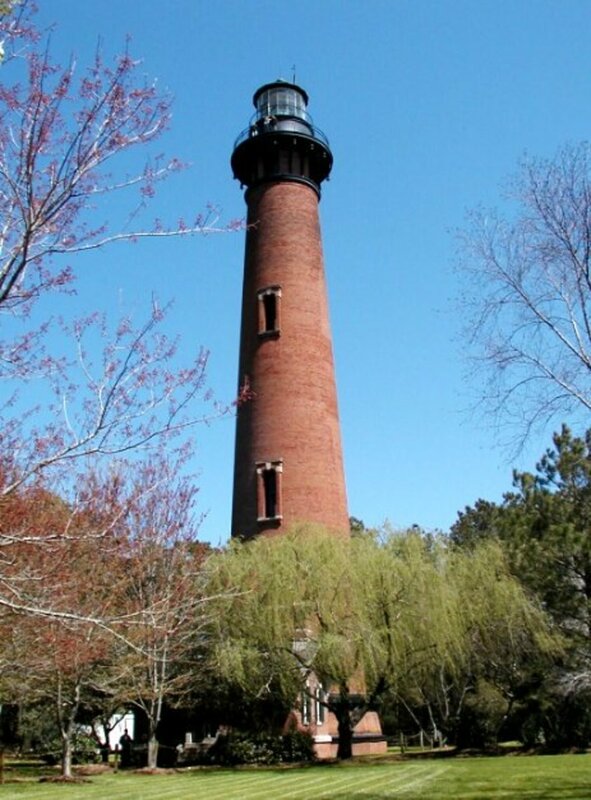 The Currituck Beach Lighthouse is unique with its reddish brick color. 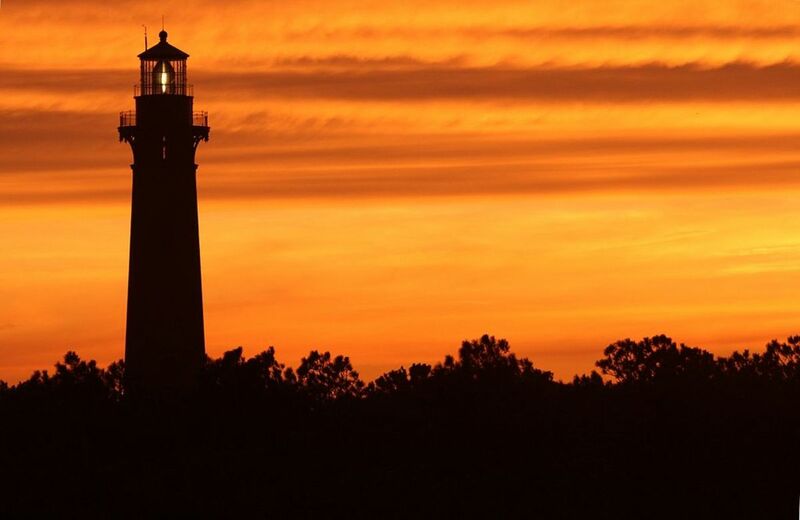 It is 162 feet tall and in Corolla, North Carolina, which is in the northern Outer Banks. 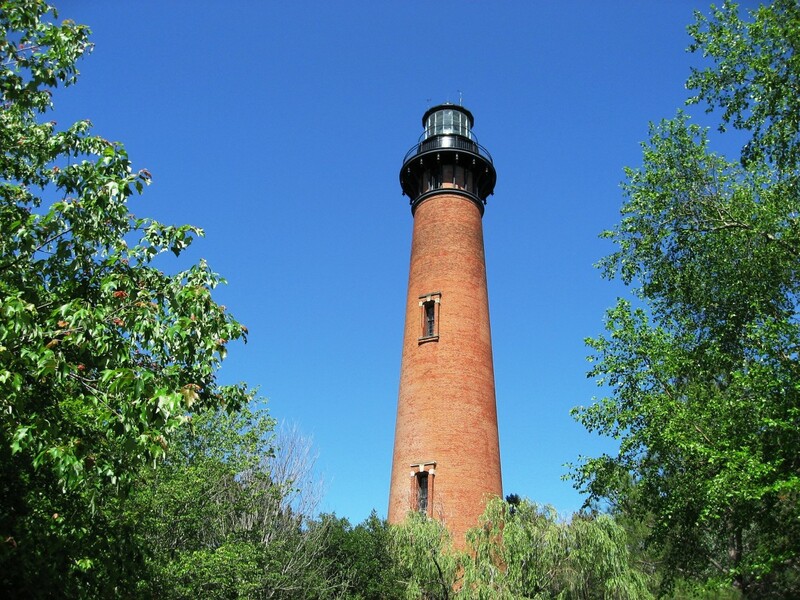 The Currituck Beach Lighthouse uses a First Order Fresnel light, which has the most powerful light available for lighthouses in the United States. Its light can be seen from 18 miles away. 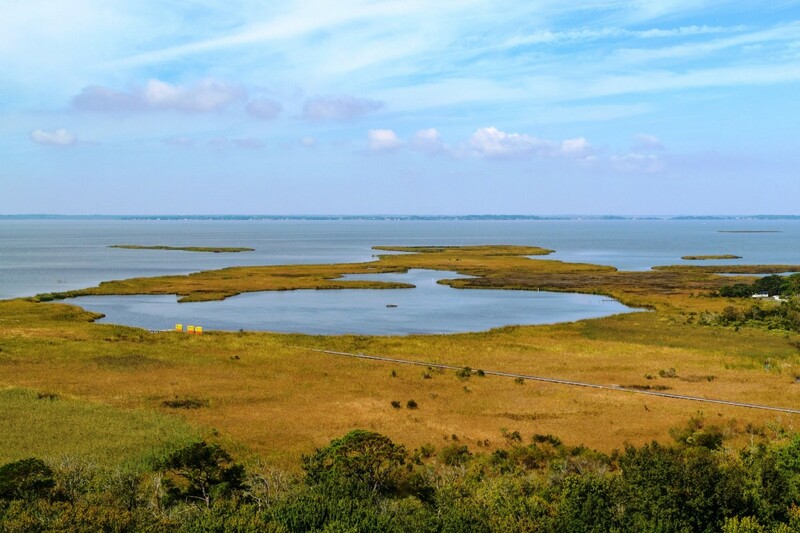 From the top, visitors have panoramic views of the Currituck Sound, Atlantic Ocean, and the Outer Banks. 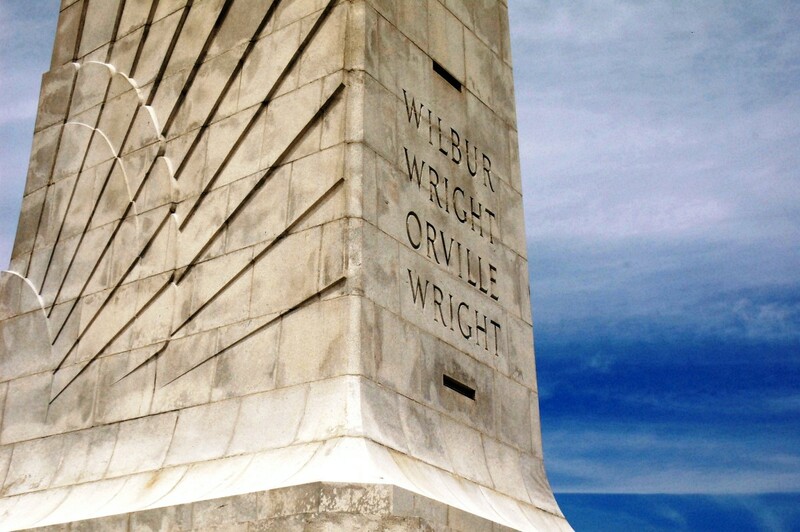 The Wright Brothers National Memorial celebrates the first flights made by Orville and Wilbur. 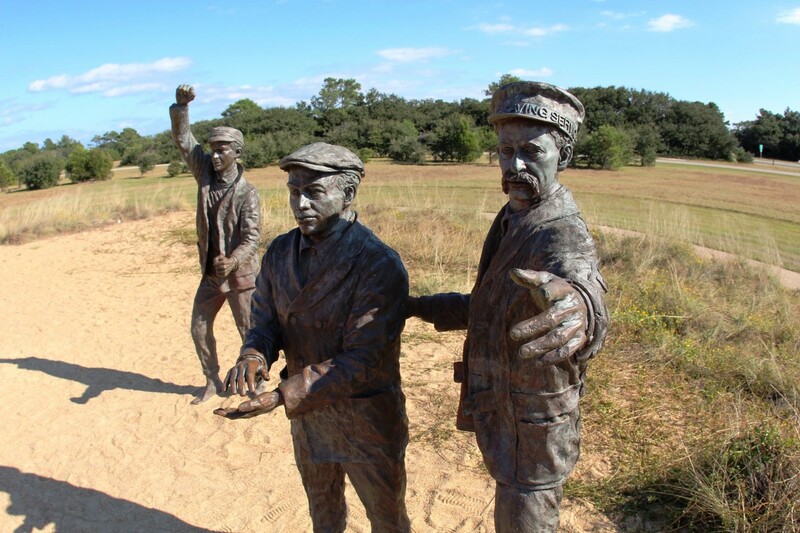 It is in Kill Devil Hills and is a must see when visiting the Outer Banks of North Carolina. 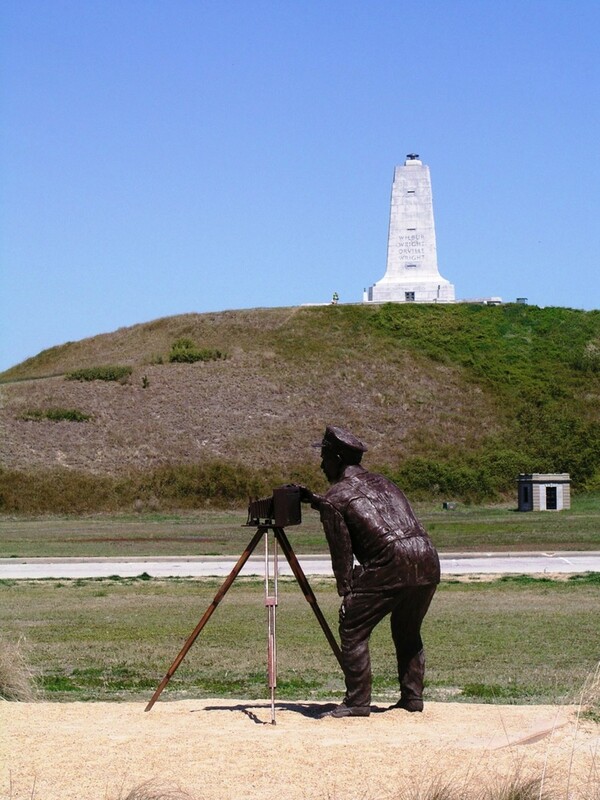 The 60-foot high granite monument attracts the visitor's attention. 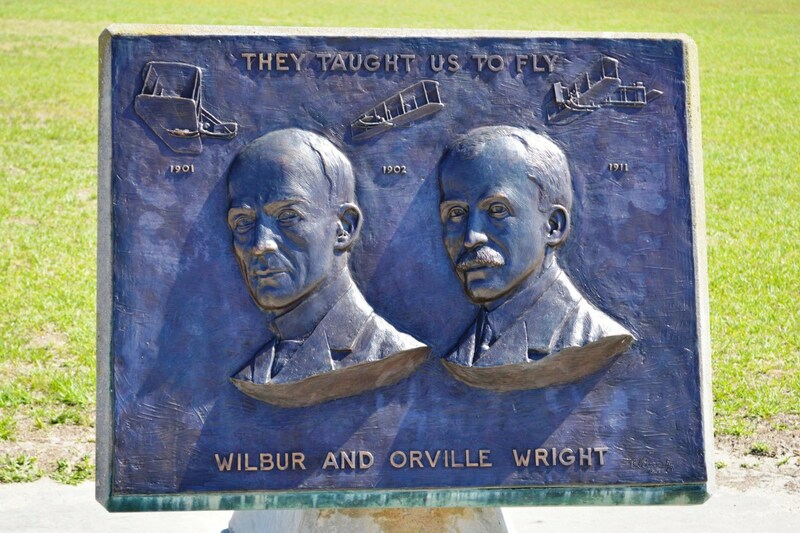 Be sure to look out for other markers that tell the story of the successful takeoff and landing of the first flights. 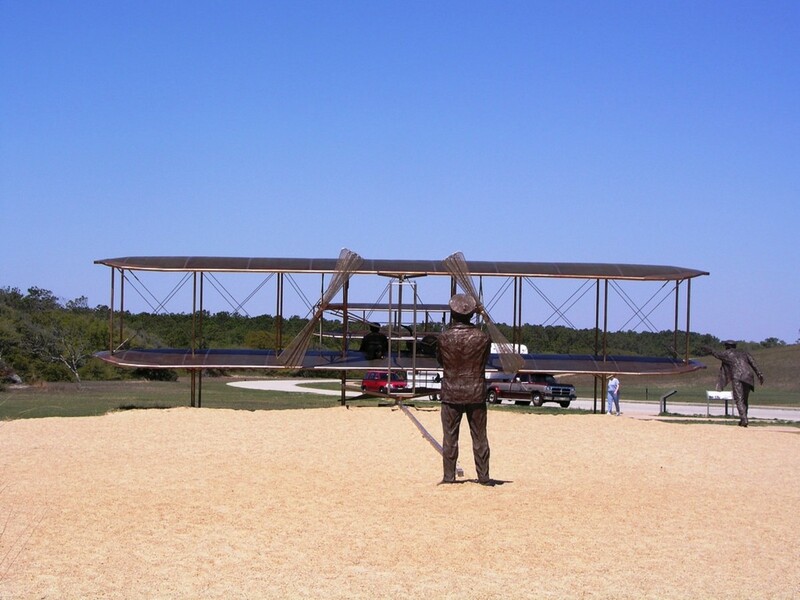 There is also a visitors center, several museums, and various exhibits at the memorial as well. 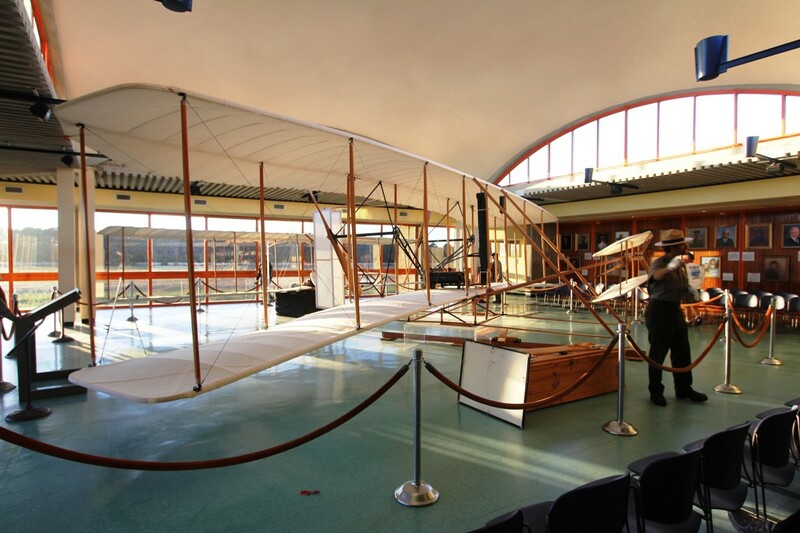 There is even a replica of the first glider than Orville and Wilbur flew in. 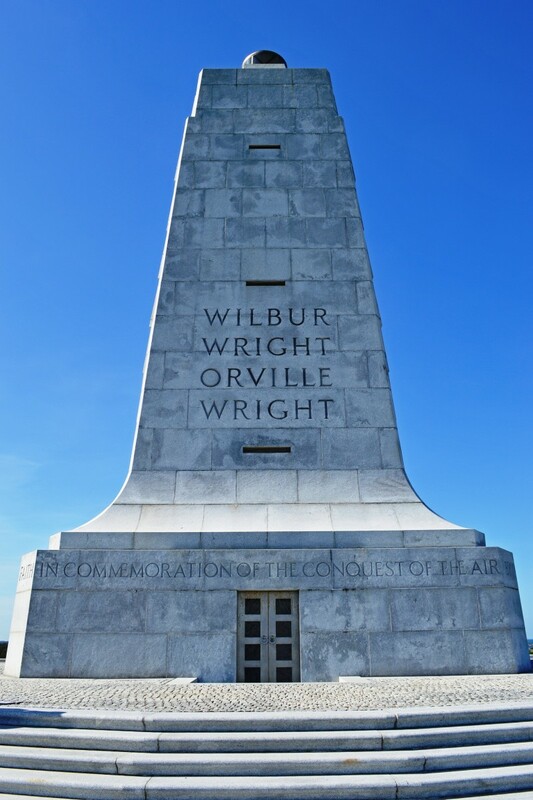 I highly recommend the Wright Brothers National Memorial. The North Carolina Aquarium on Roanoke Island is a great way to spend a few hours. 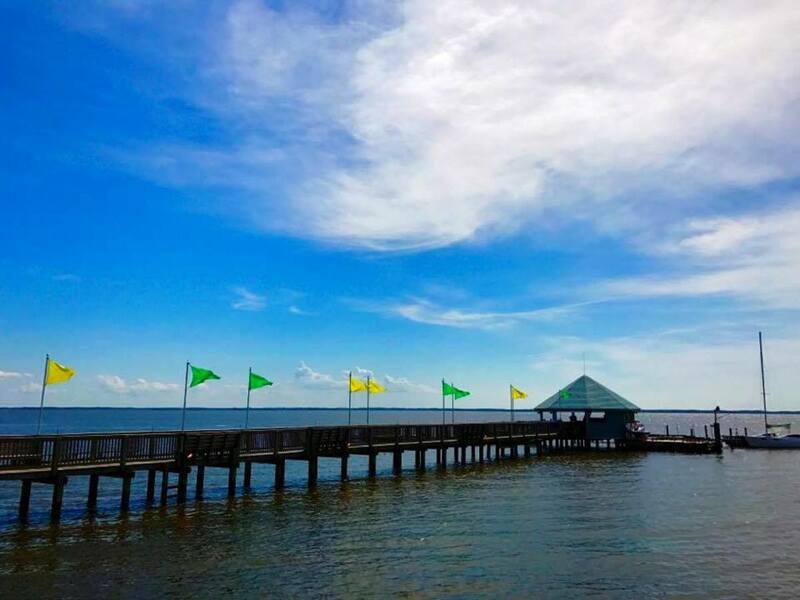 It offers the change to see large groups of sharks, see an alligator, interact with scuba divers, touch stingrays, watch river otters play, and more. Another popular attraction is the sea turtles in the Sea Turtle Assistance and Rehabilitation (STAR) Center where sick and ailing sea turtles receive care. I highly recommend checking out all that the North Carolina Aquarium on Roanoke Island has to offer. 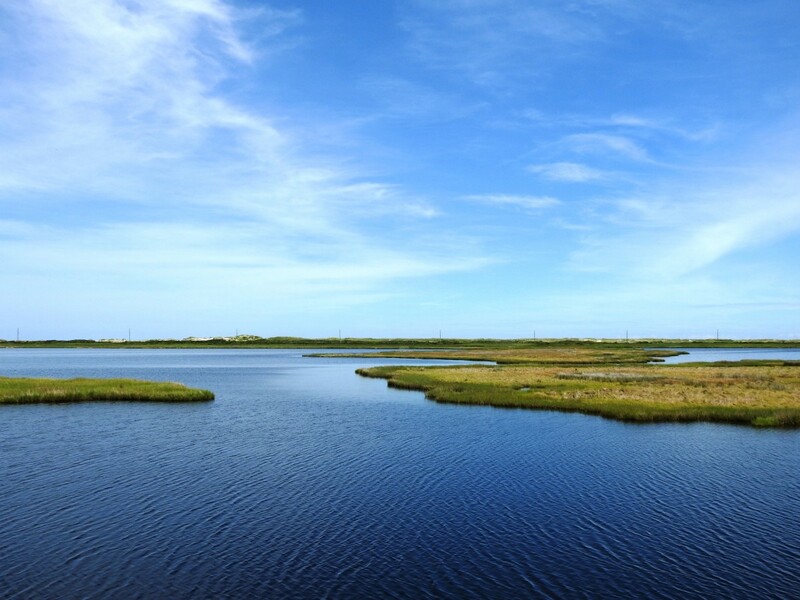 The Pea Island National Wildlife Refuge is an undeveloped piece of land full of incredible views and great nature trails. 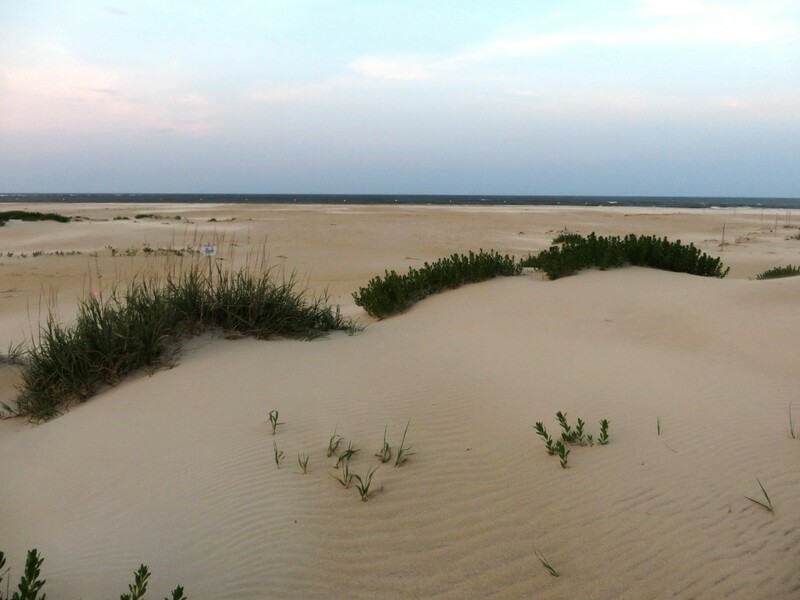 It is 6,000 acres and is between Oregon Inlet and Rodanthe. 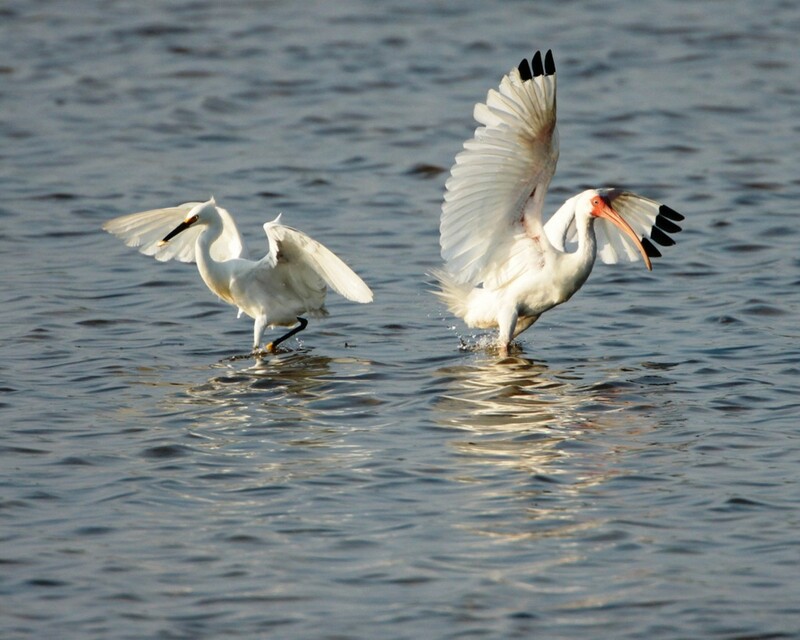 The refuge provides temporary homes to almost 400 different species of migrating birds. 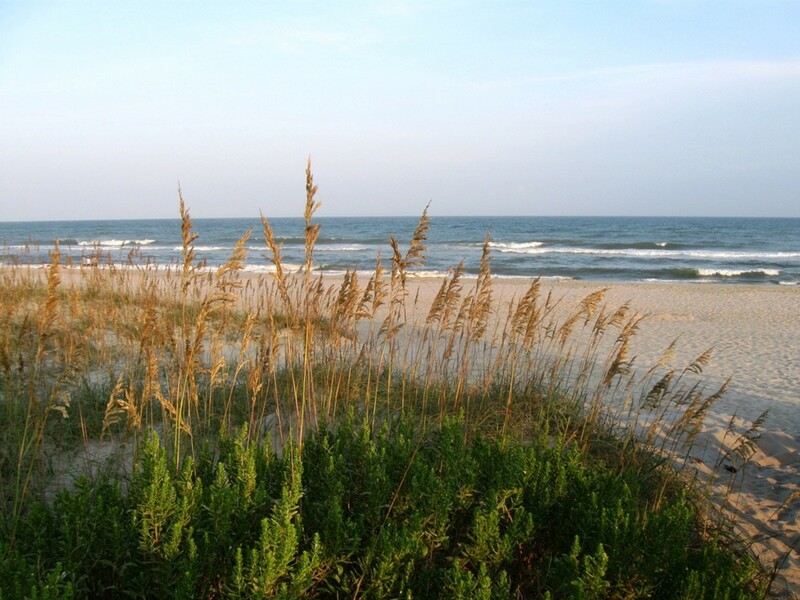 It is also home to loggerhead sea turtles. I highly recommend the North Pond Wildlife Trail which is one of the best places to watch wildlife no matter the season. 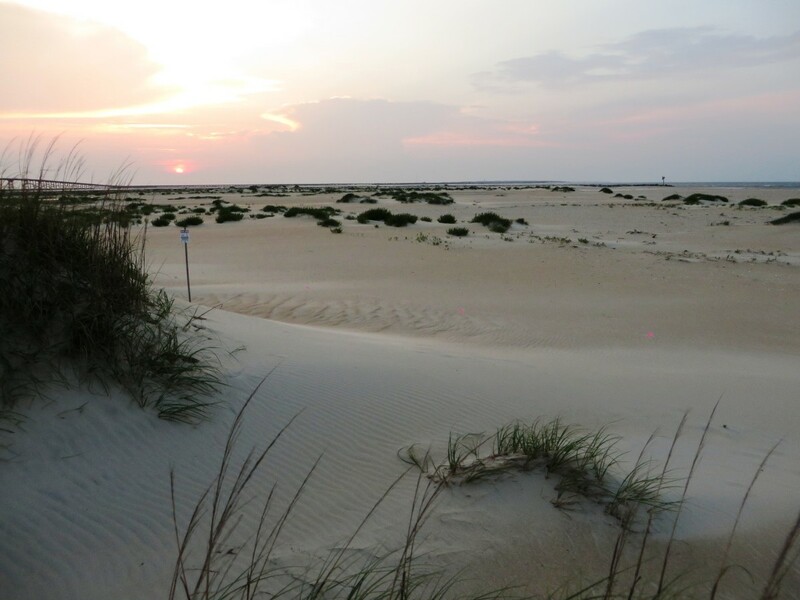 Horseback Riding on Hatteras Island is something to remember for a lifetime. Beach rides are $95 for an hour-long ride on the beach. 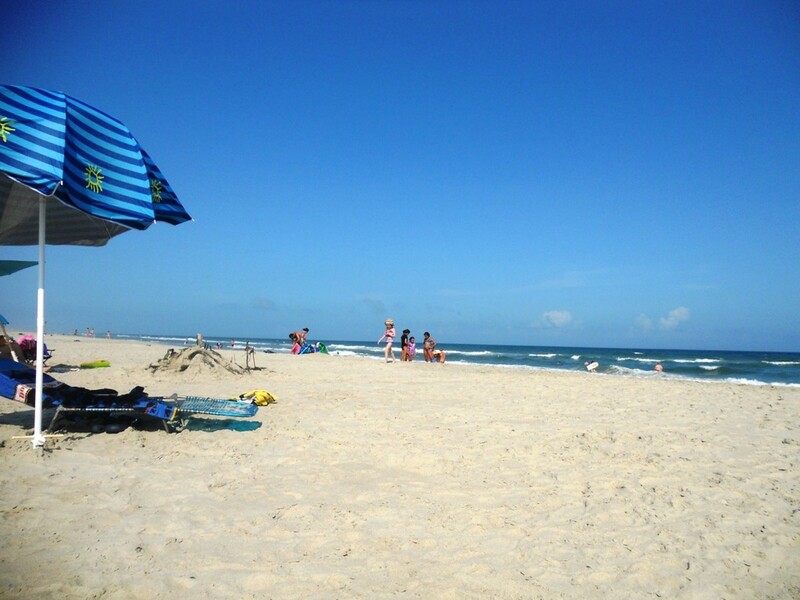 For families, inquire about the family/group package by calling 252-216-9191. 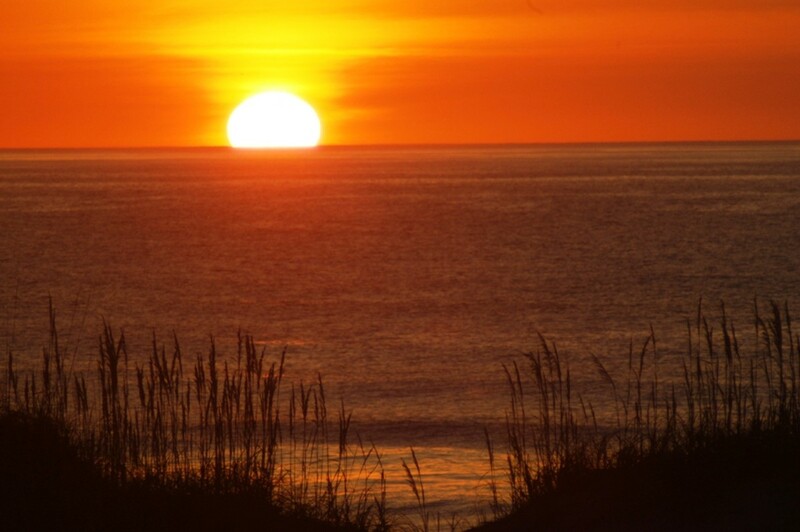 The Outer Banks of North Carolina are incredible. 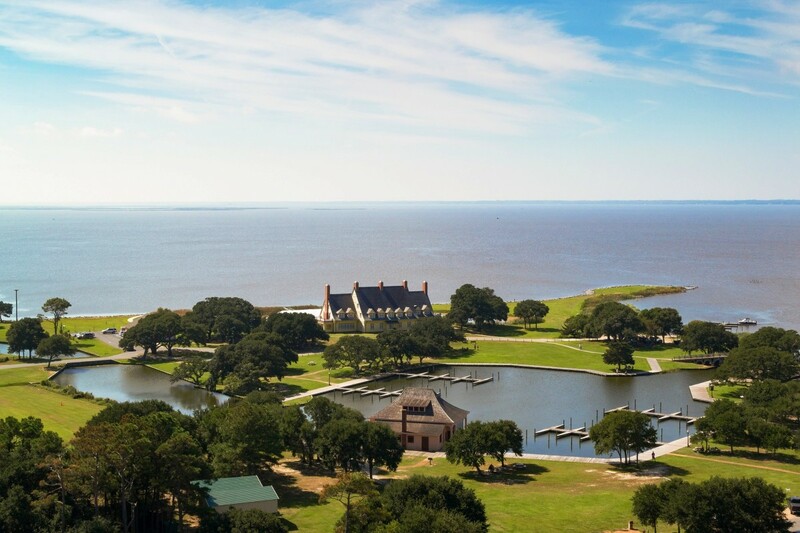 They offer miles of shoreline, plenty of wildlife, and much more. My family and I loved our time there. We cannot wait to go back again. 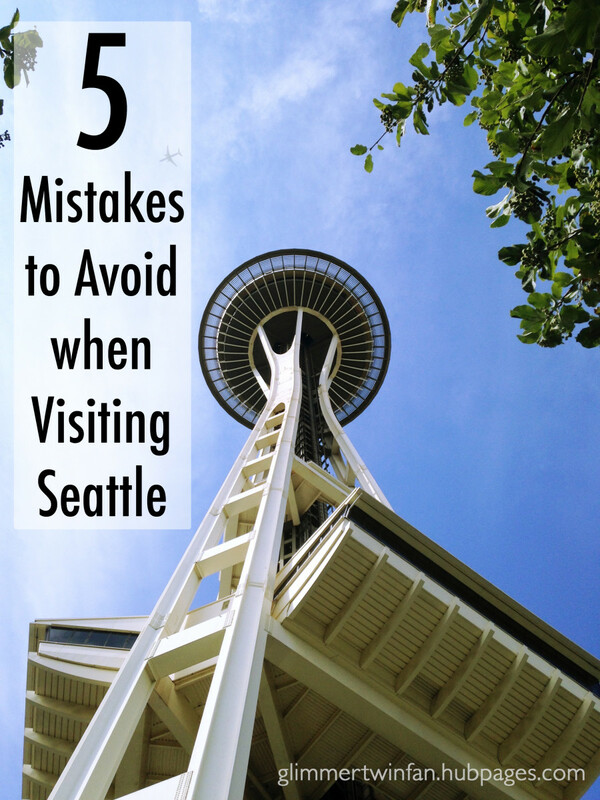 Your travel articles are excellent, as is this one. There's a good mix of useful information and top class photography. 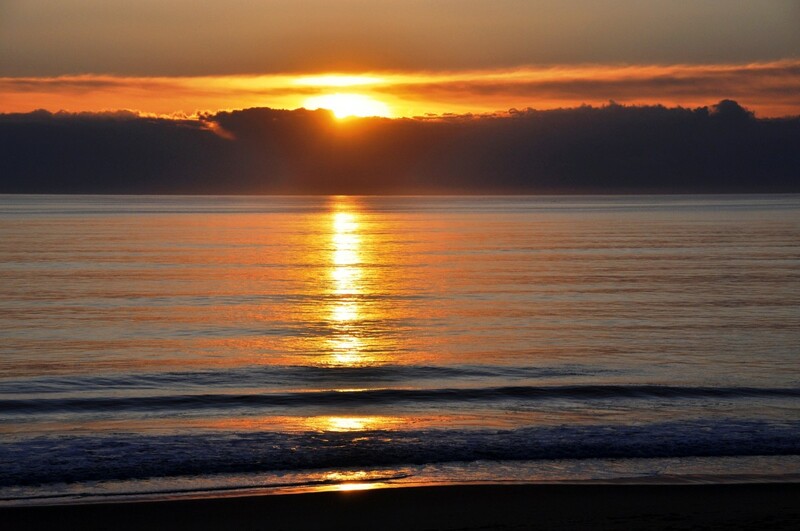 Sunrise and sunset photos are always eye-catching.